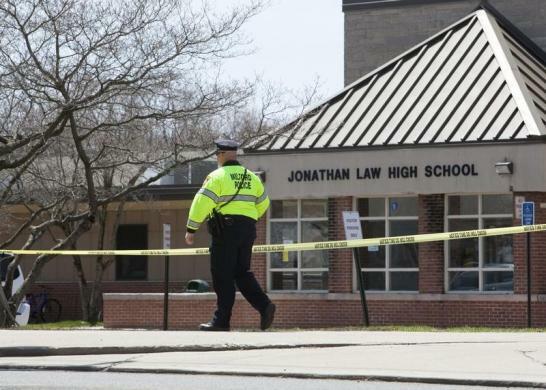 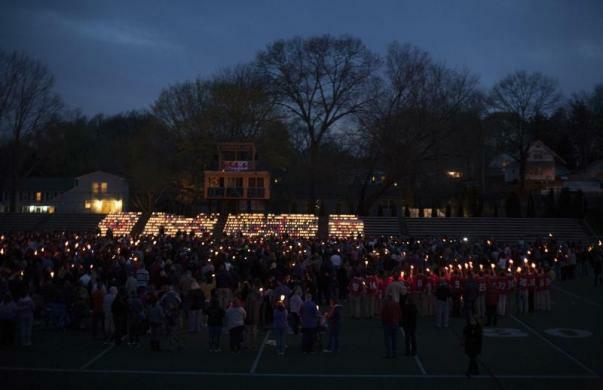 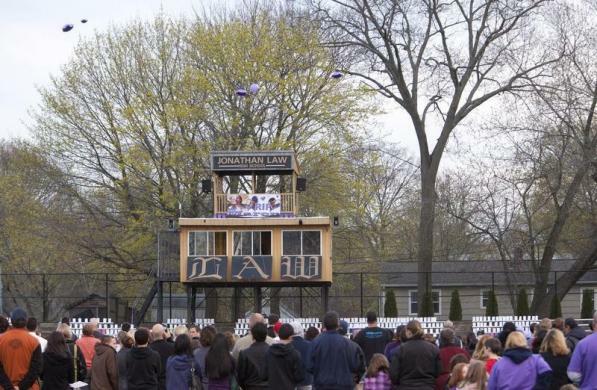 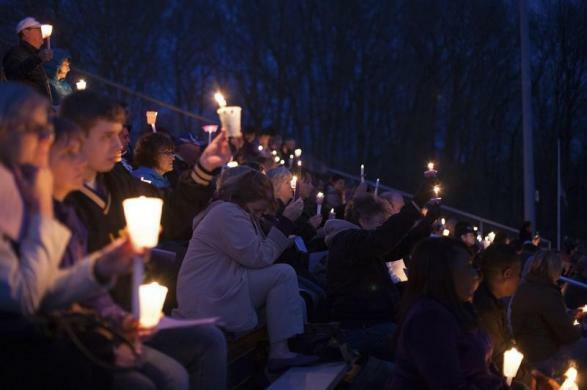 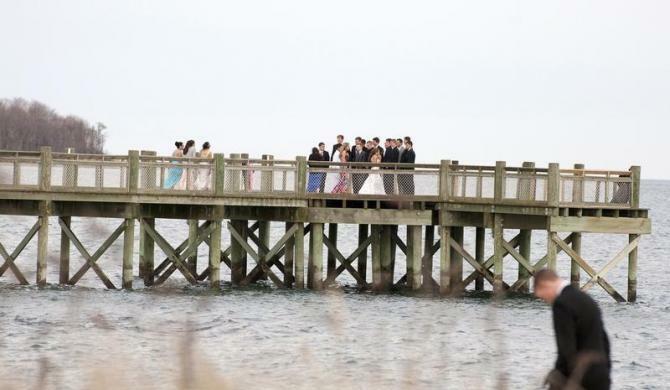 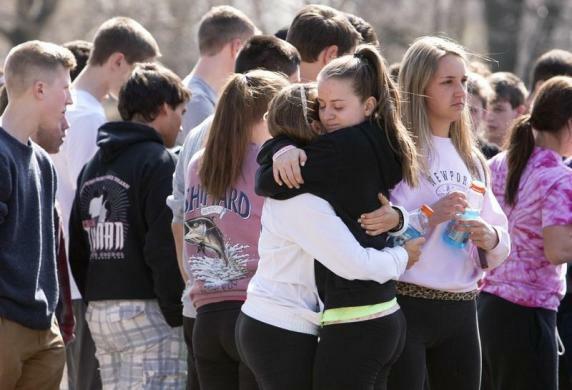 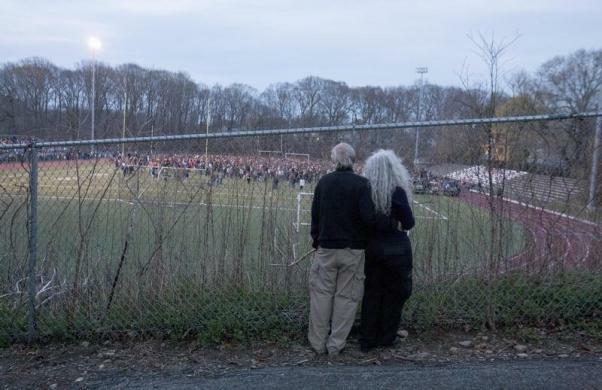 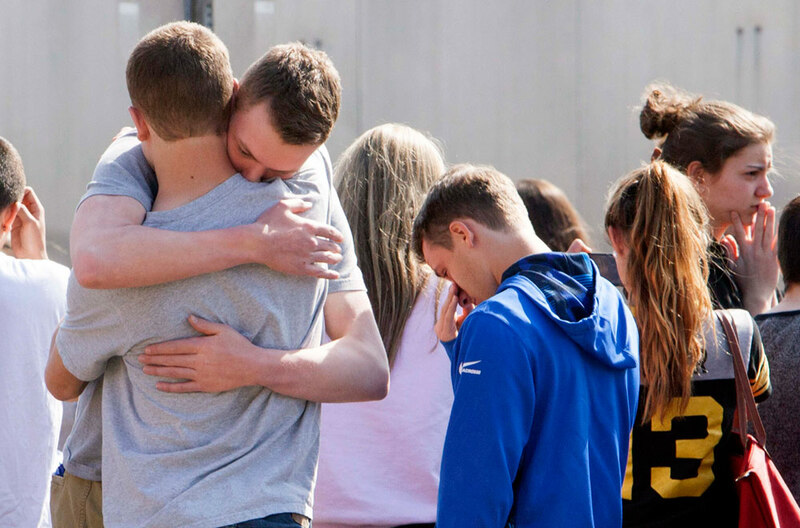 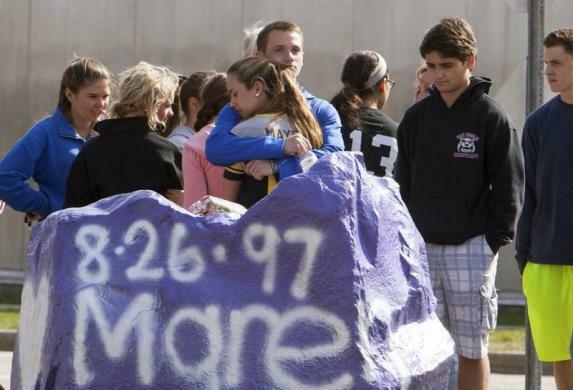 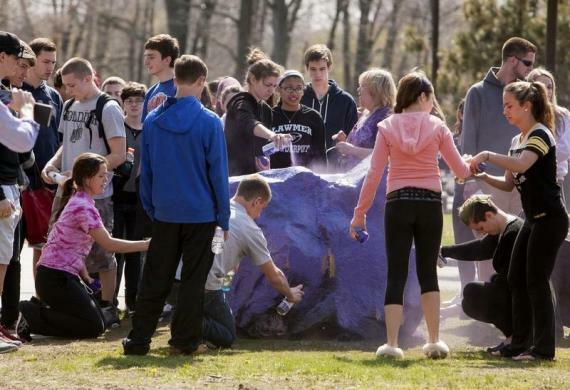 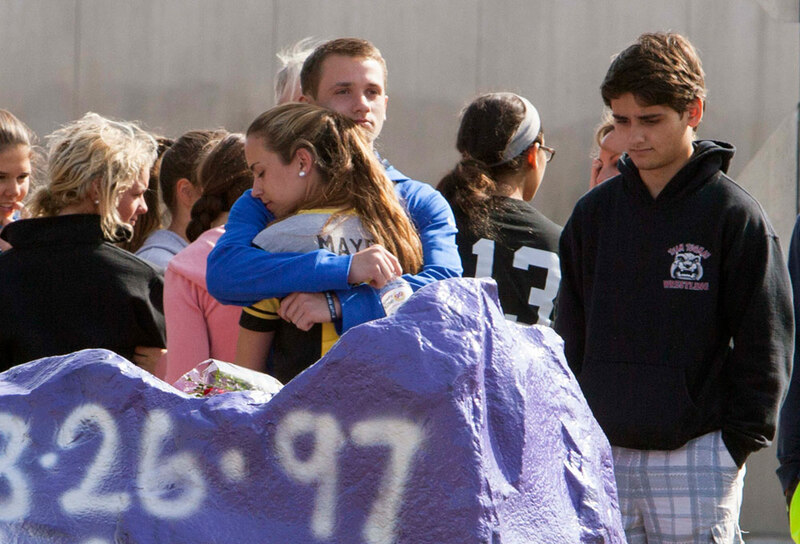 Connecticut, US - The joyous anticipation of prom night at Jonathan Law High School in Milford last Friday was horribly crushed by the murder of one of the school's brightest and popular students earlier that morning. 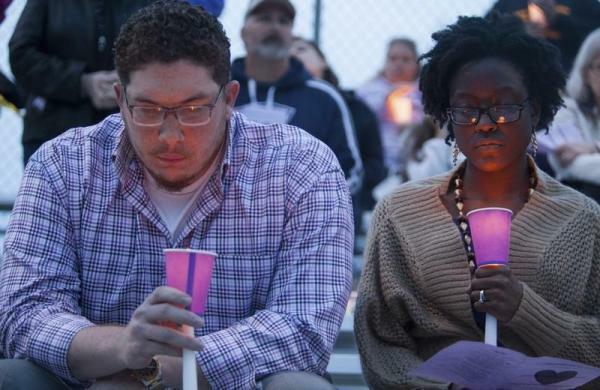 Maren Sanchez, a talented student with deep involvement in the school's varied activities, was fatally stabbed by schoolmate and friend, Chris Plaskon, apparently after she rejected his offer of being her prom date. 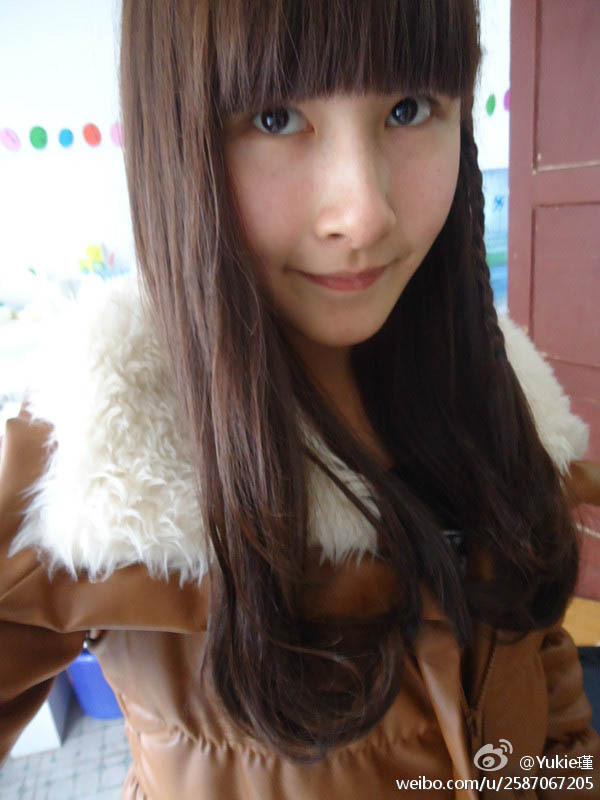 She had already found someone else to attend the event, and was said to have only a platonic relationship with Plaskon. 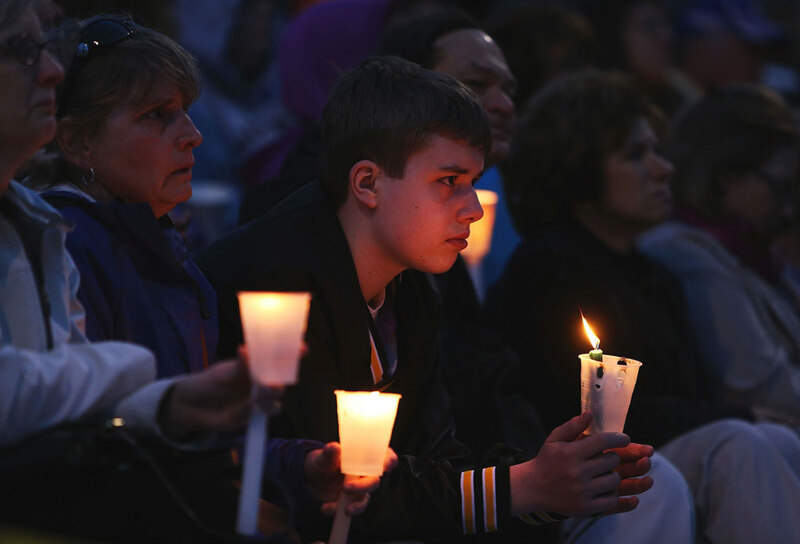 Plaskon, 16, admitted to the killing this week while in police custody. 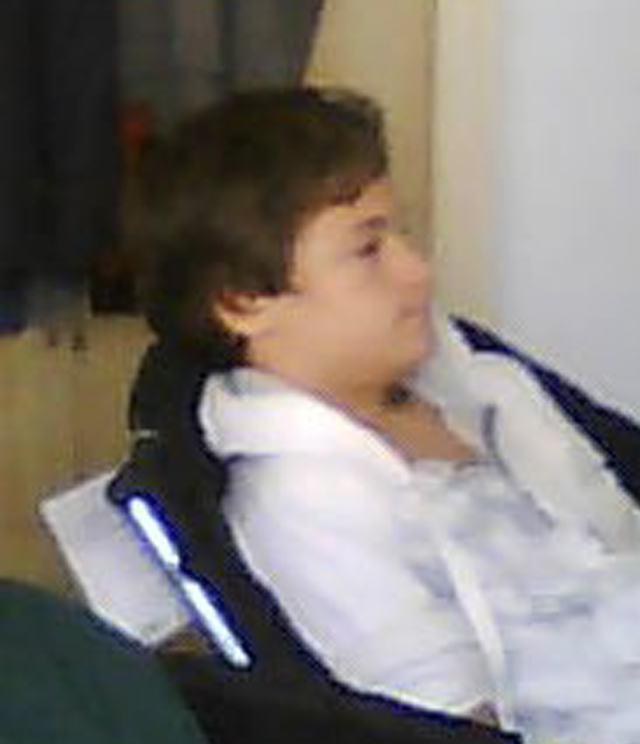 He is currently being assessed psychologically. 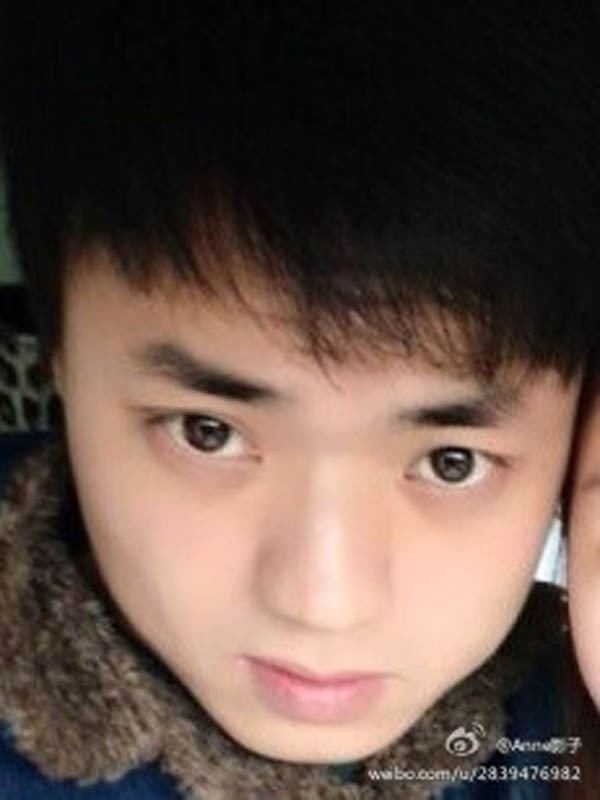 He is said to have told a friend he wanted to harm himself recently. 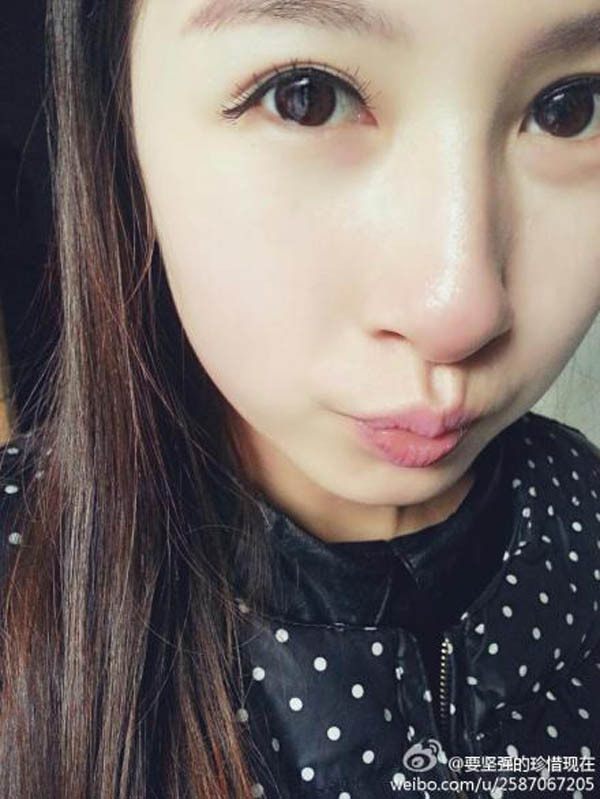 Because of his age, he is likely to be charged for murder later as an adult. 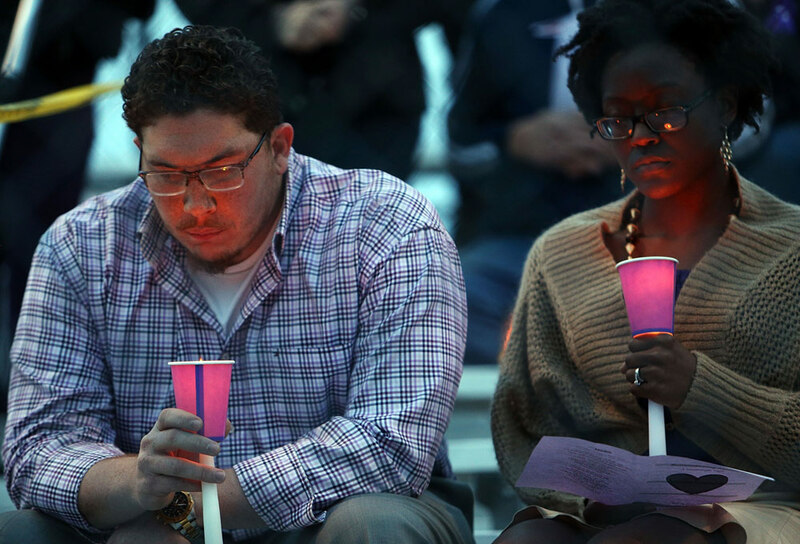 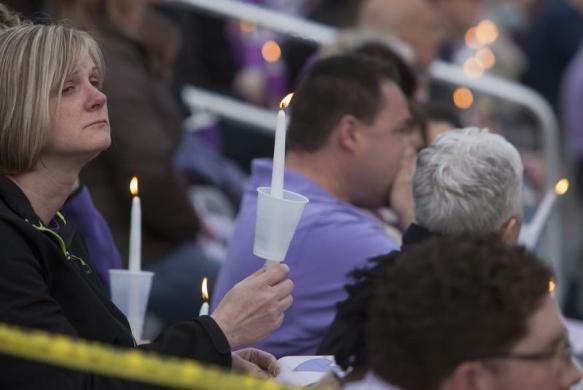 Thousands of students and residents in the area held a candlelight vigil to honour Sanchez earlier this week. 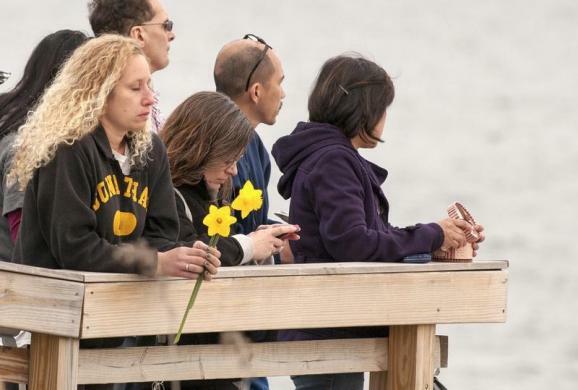 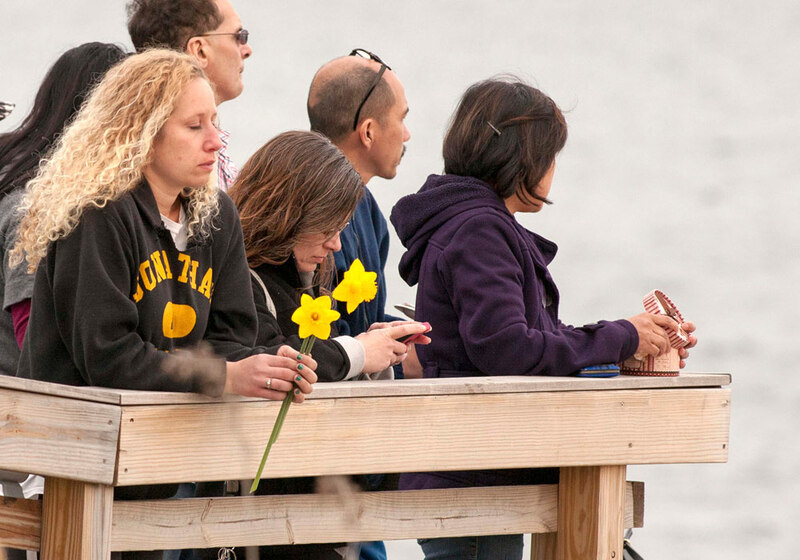 Many remembered her sunny disposition, and ever-ready smiles and kind words, even for strangers. 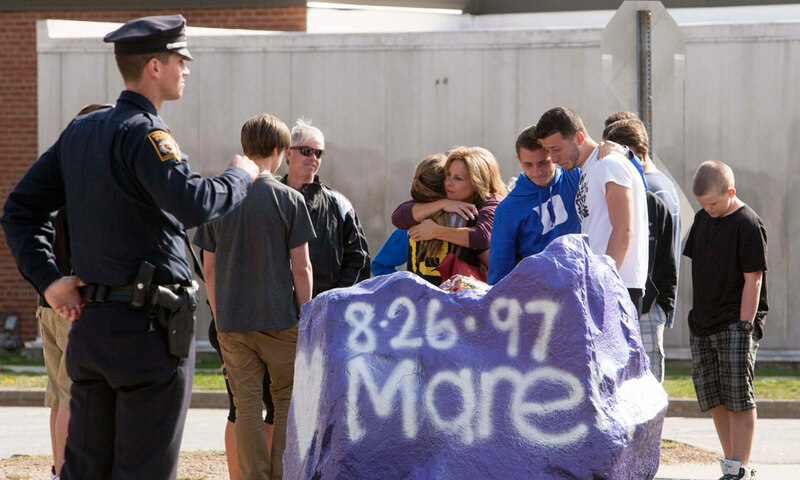 Maren Sanchez of Jonathan Law High in Milford, Connecticut, who was described as loving, happy, most of all, a friend to all, was fatally stabbed last Friday. 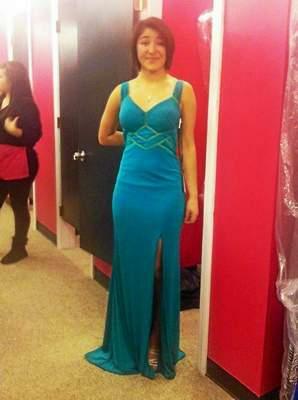 Maren Sanchez was supposed to wear this gown to the prom last Friday bnight but was fatally stabbed that morning by her friend, Chris Plaskon. 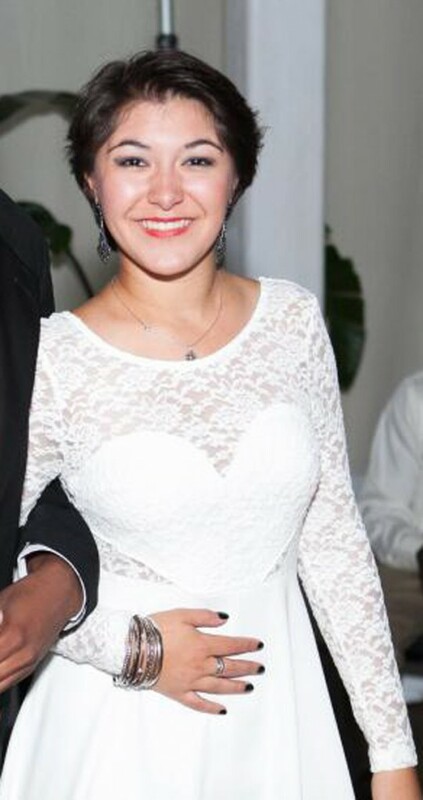 Maren Sanchez was stabbed in the neck, chest and face. Her friend Chris Plaskon apparently killed her after she rejected his prom date offer. 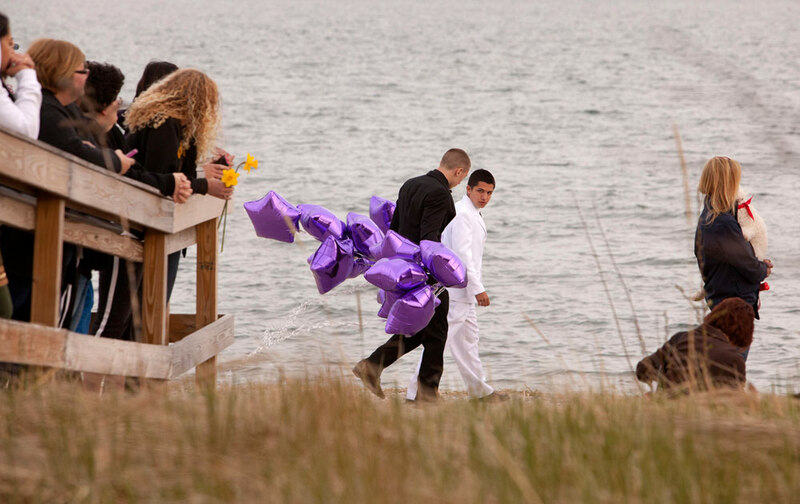 Bright and well-liked by many at Jonathan Law High School, Maren Sanchez, had already decided to go to prom night with her boyfriend. 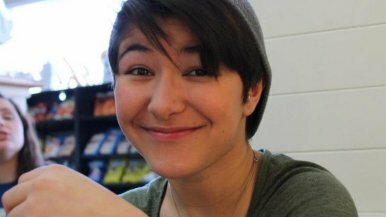 Maren Sanchez had apparently regarded Chris Plaskon, who admitted to stabbing her, as a platonic friend throughout their years of friendship. 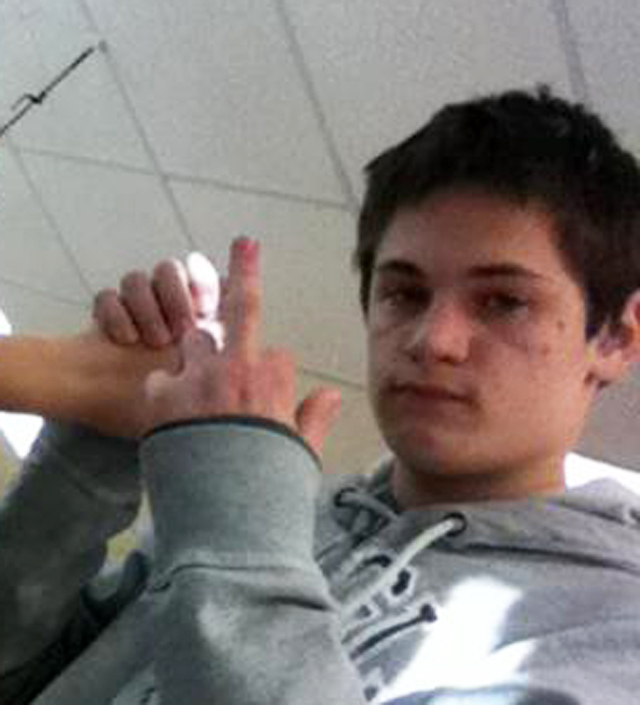 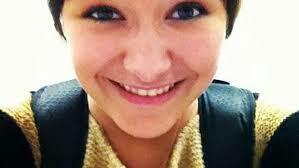 Chris Plaskon admitted to killing Maren Sanchez this week while in police custody. 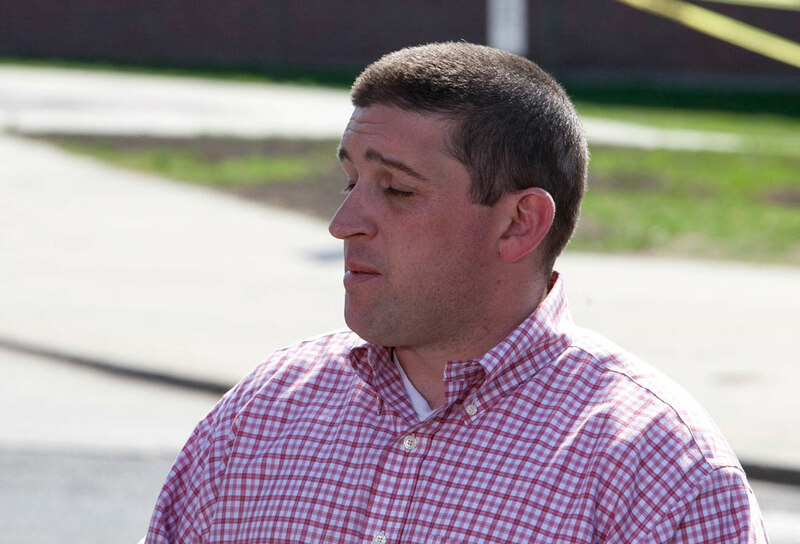 Chris Plaskon, who had admitted to killing Maren Sanchez, is being sent for psychological evaluation. 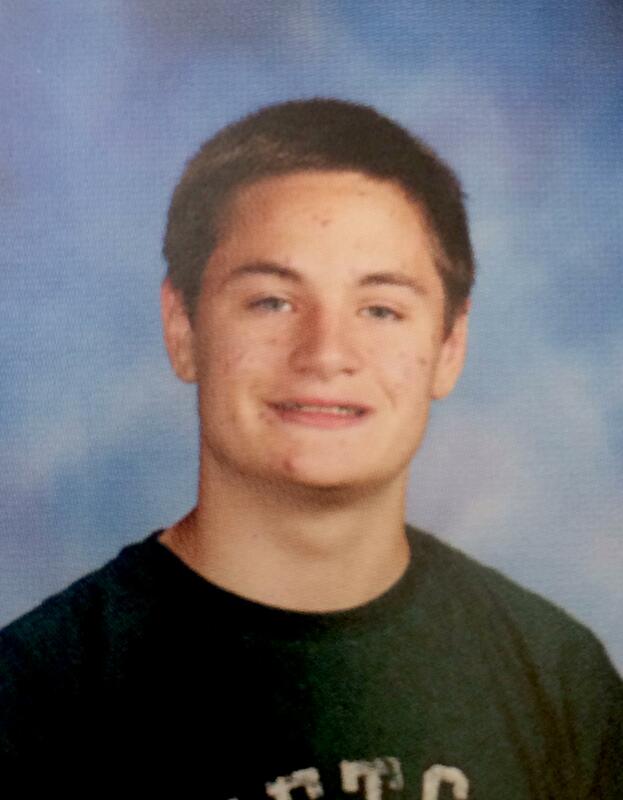 Chris Plaskon is said to have told a friend recently that he wanted to harm himself. 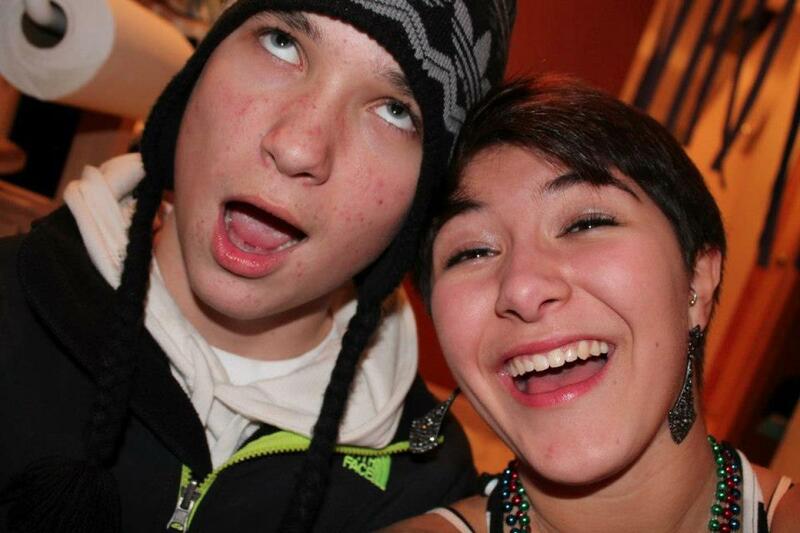 Maren Sanchez (with a friend) is said to be a warm and joyous person with many interests. 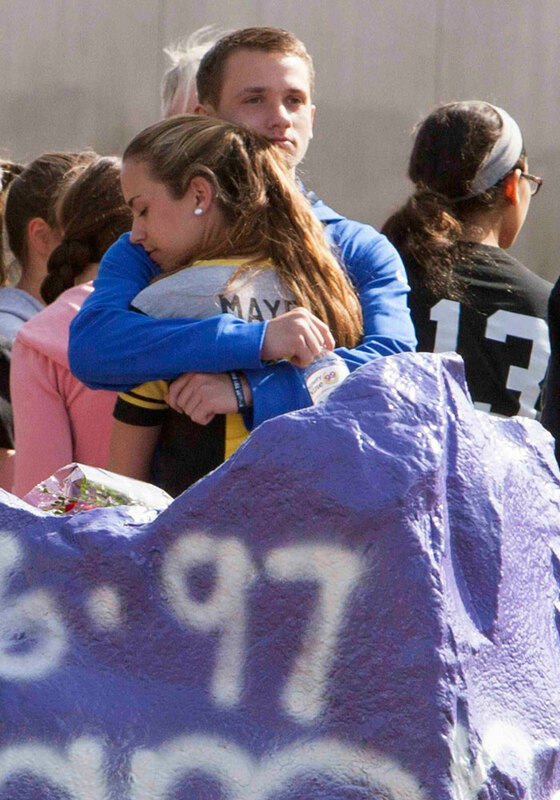 Friends marked the tragic death of Maren Sanchez by leaving their condolences on a memorial rock and holding a candlelight vigil. 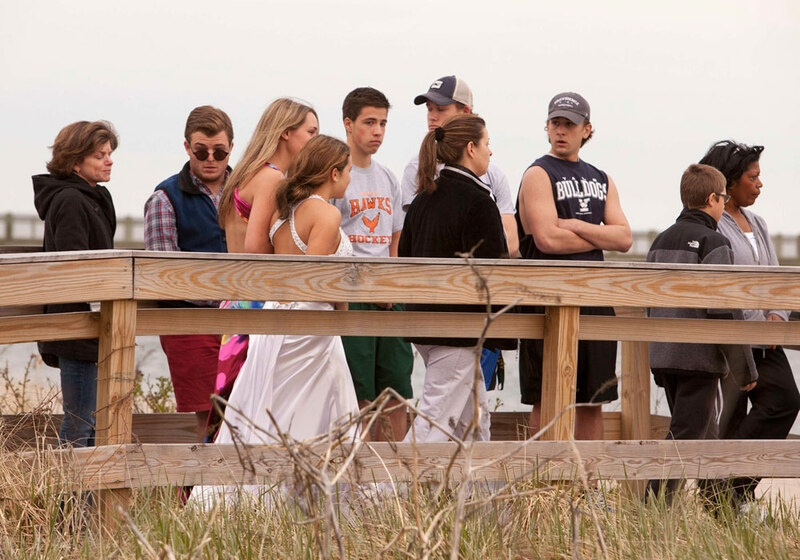 Many students in classrooms were unaware of the tragic death in their school on that fateful morning of prom night until much later. 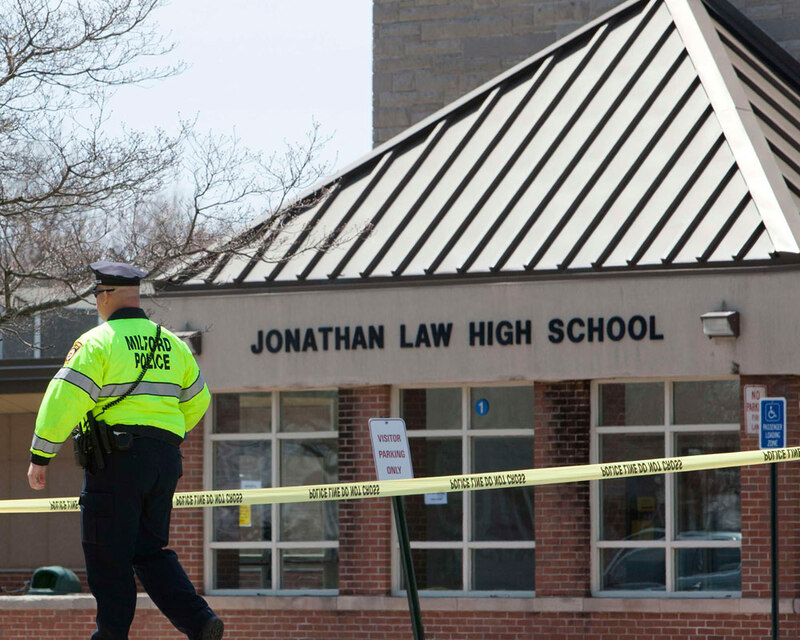 Happy anticipation of junior prom at Jonathan Law High School turned into shock and grief when students and friends learned that Maren Sanchez was killed. 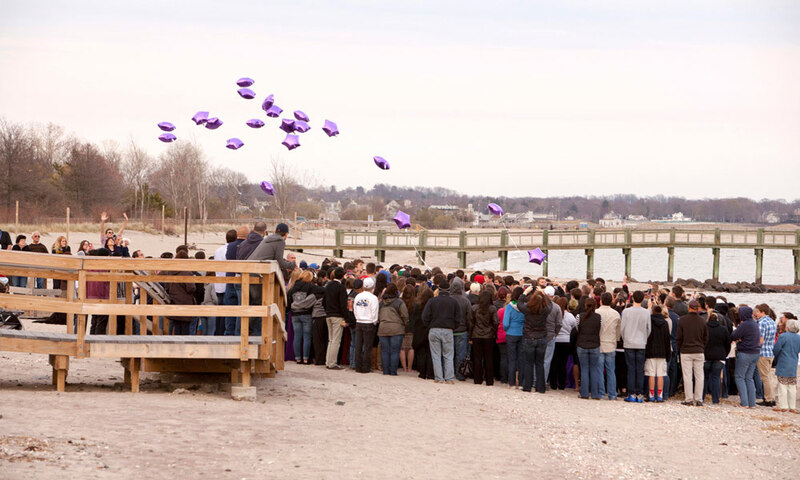 Balloons in purple, the favourite colour of Maren Sanchez, were released to bid her a final farewell. 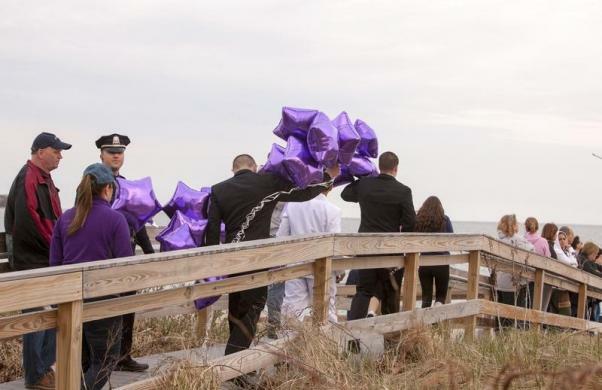 Balloons in purple, favourite colour of Maren Sanchez were released. 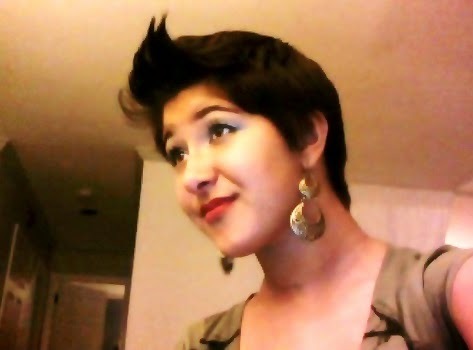 A cousin of Maren Sanchez. 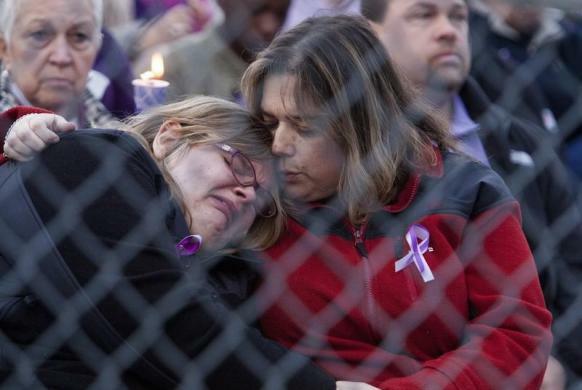 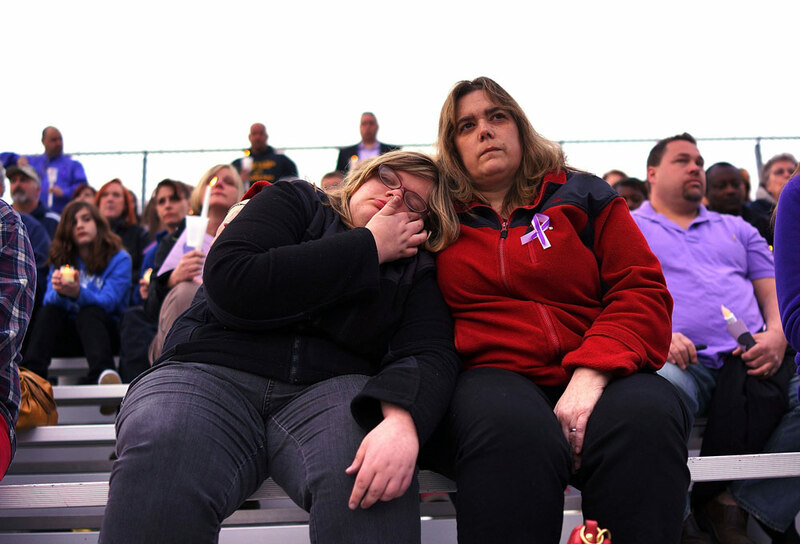 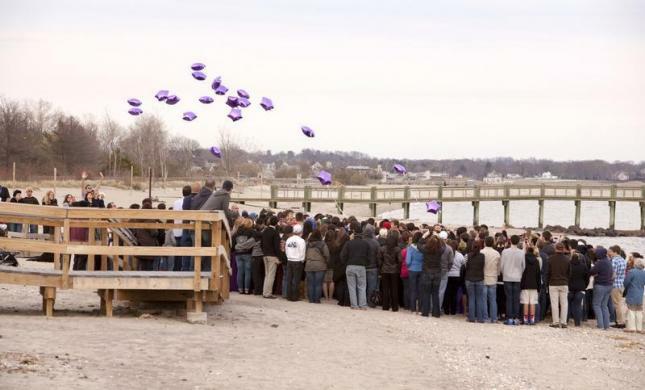 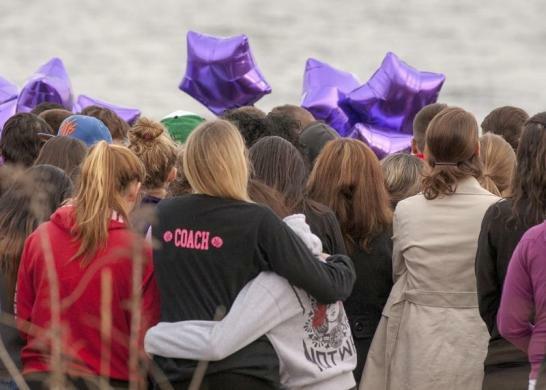 Purple balloons were released as a final farewell to Maren Sanchez. 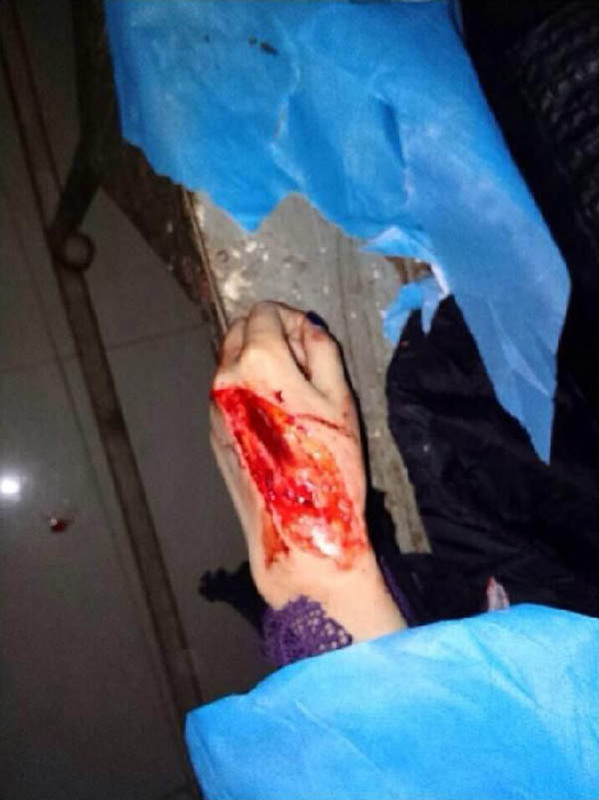 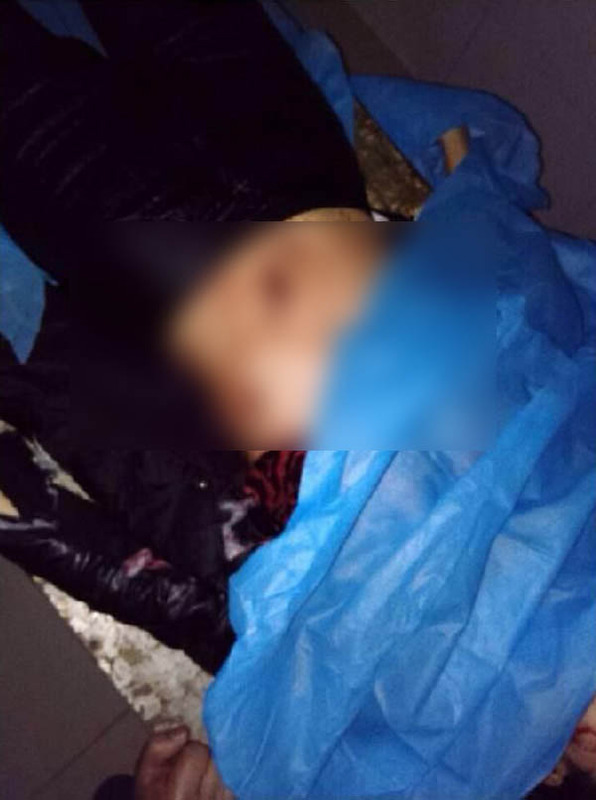 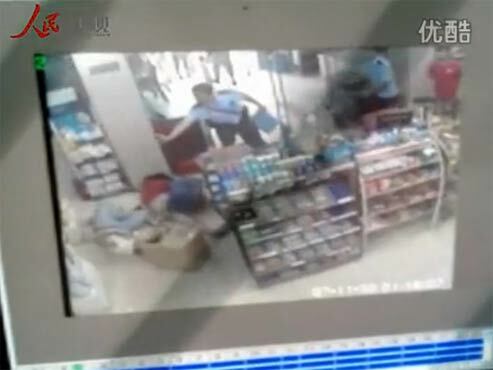 A post on Chinese social media website Weibo, assumed to be written by the victim's sister, has been circulating online, exposing the attacker's identity and calling for justice to be served. 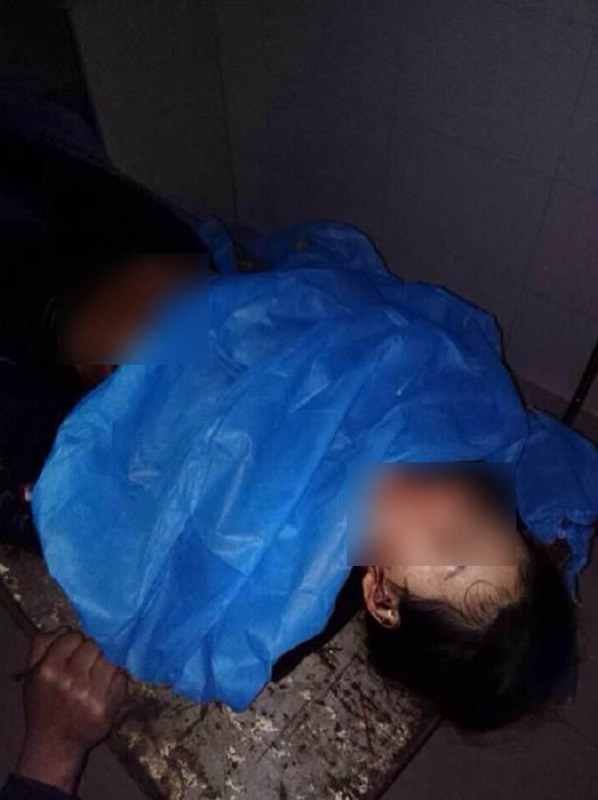 According to a report on Shanghaiist, the victim was in her hostel room when her ex-boyfriend barged in and chased her roommates out by threatening them with a knife. 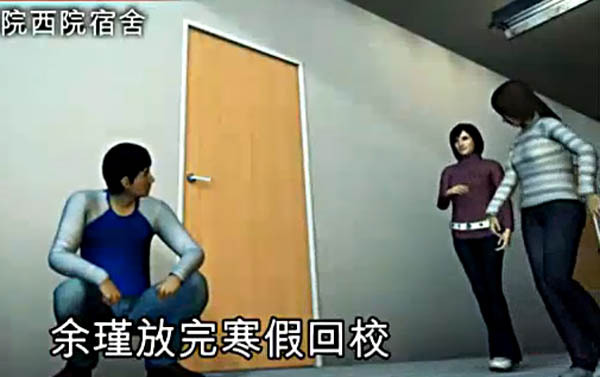 One of them called the victim's aunt after exiting the room. 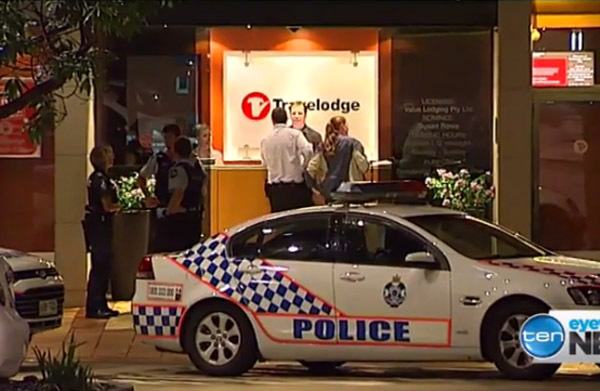 He then stabbed the victim 21 times during the 17 minutes he spent in the room. 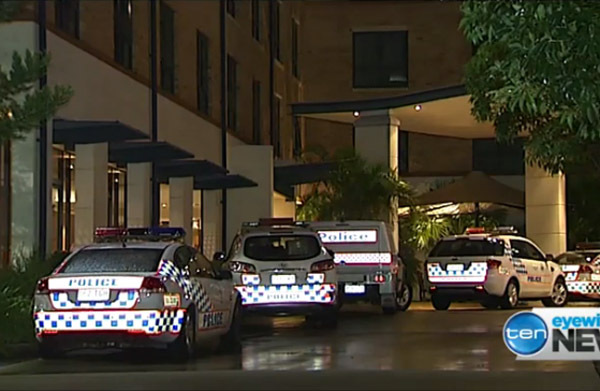 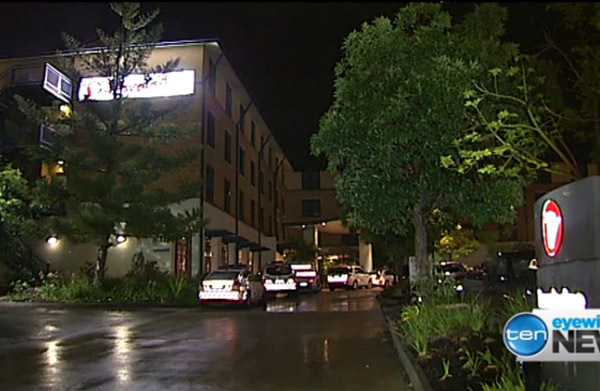 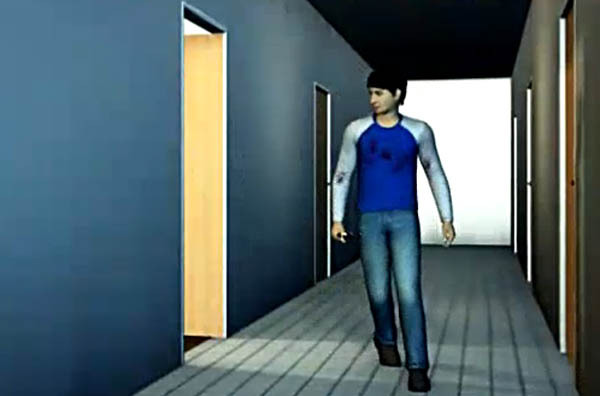 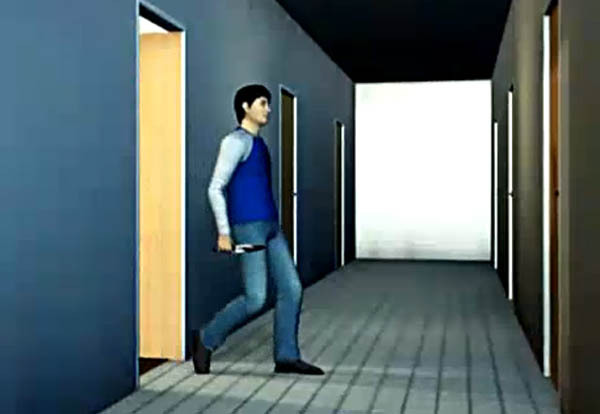 After the vicious attack, the man walked out from the crime scene without any intervention from campus security which was located just a few metres away from the victim's room. 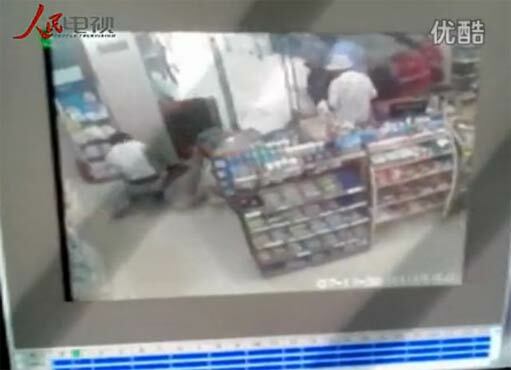 Online speculation pointed to the attack as an act of jealousy. 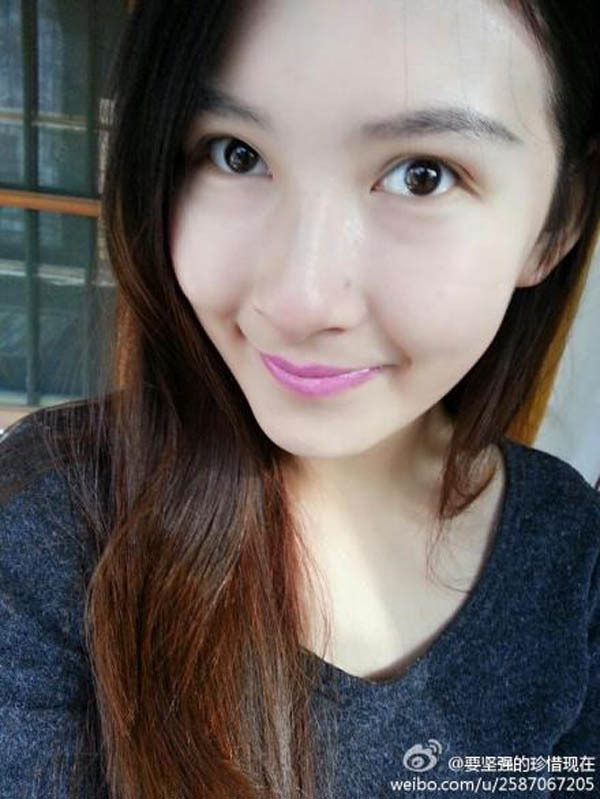 The deceased was in a relationship with the 26-year-old man who was insecure about their relationship. 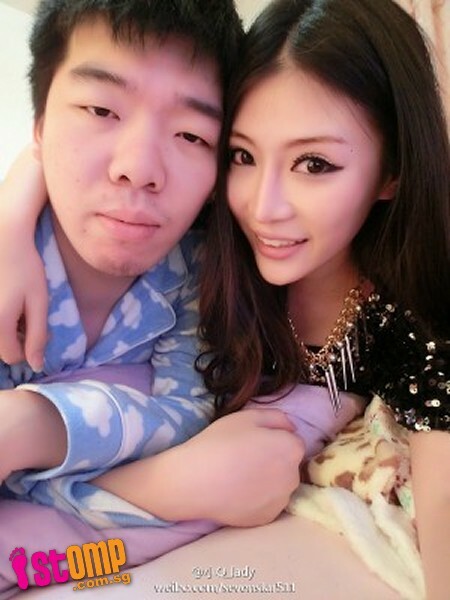 She later broke up with him because of his possessive behaviour. 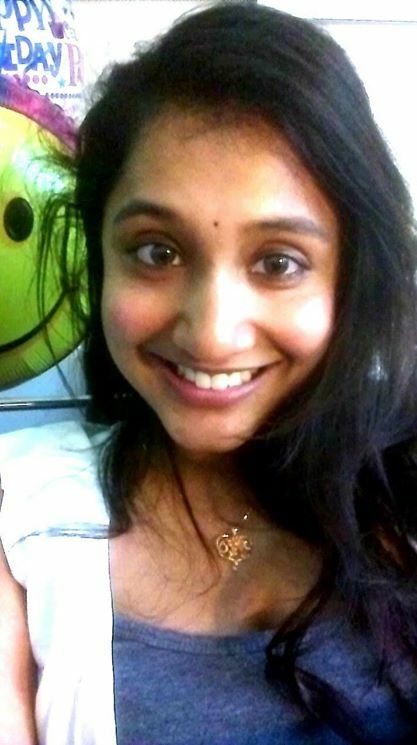 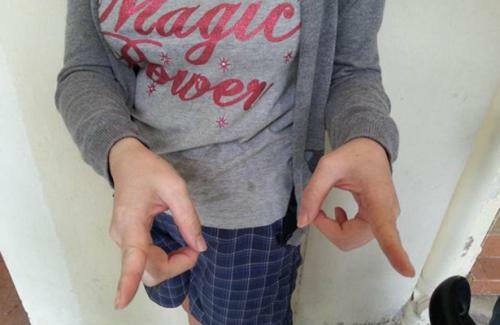 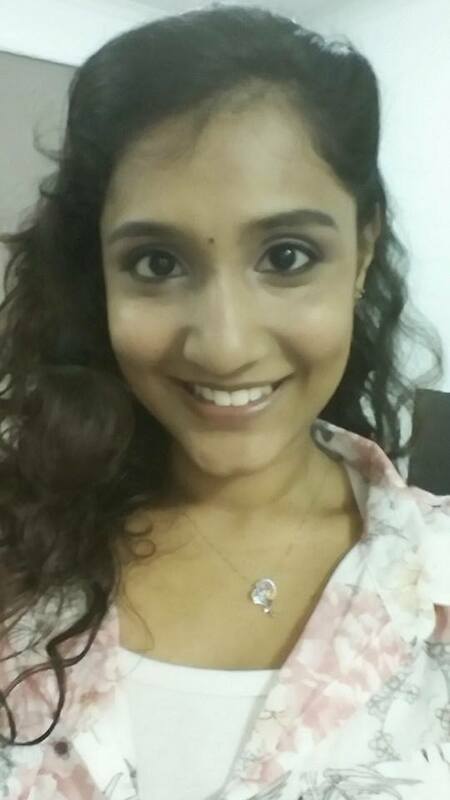 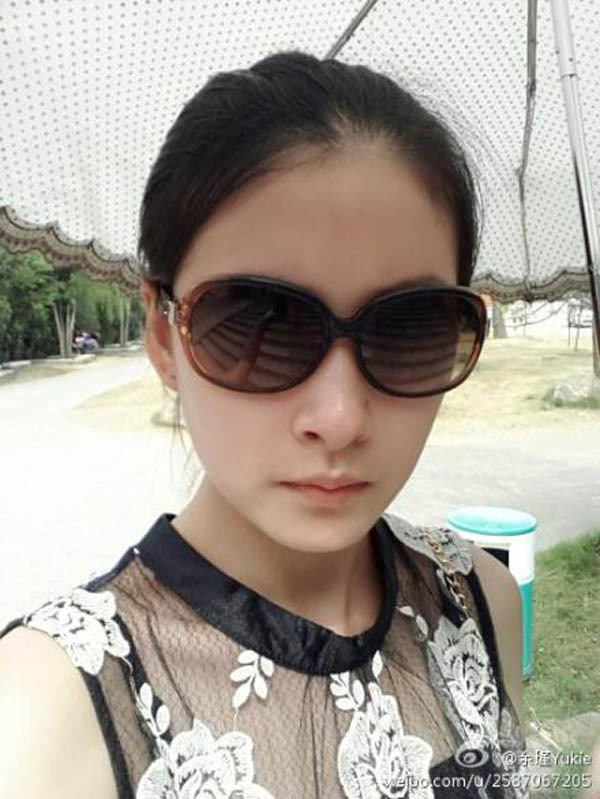 Photos of the 20-year-old's bloodied body accompanied the post, showing numerous deep stab wounds on her torso, reflecting the severity of the attack. 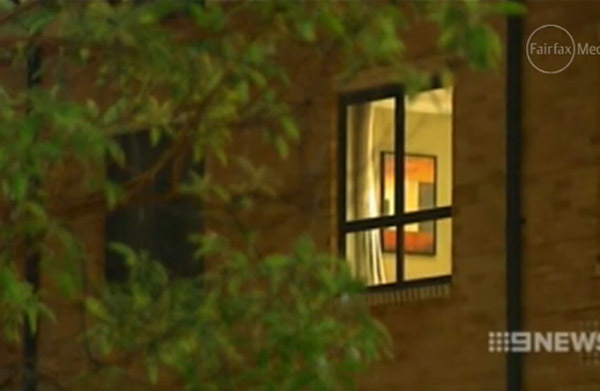 It was also revealed that he had previously stalked her and stabbed her in the thigh. 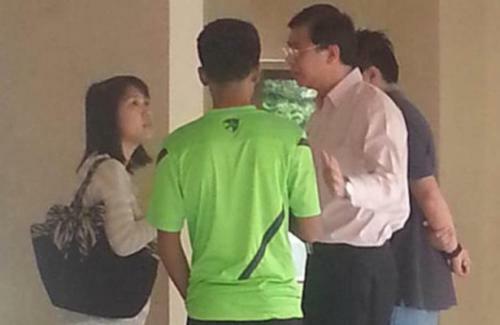 Her parents decided not to report him after he pleaded for forgiveness. 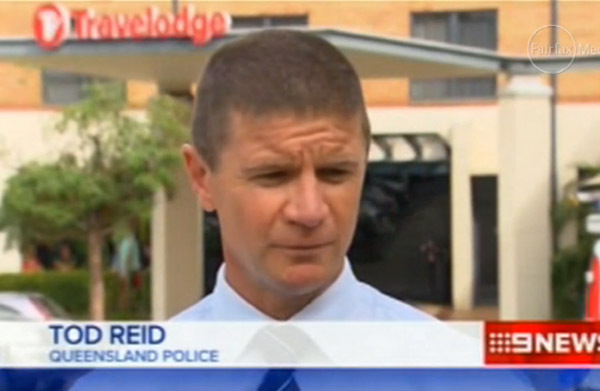 He has since been arrested for the attack. 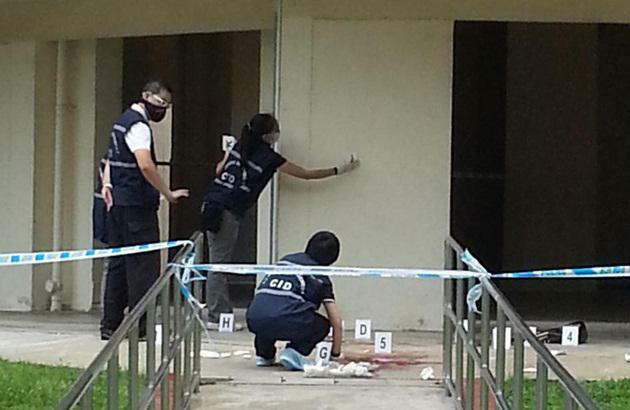 Police investigations are on-going. 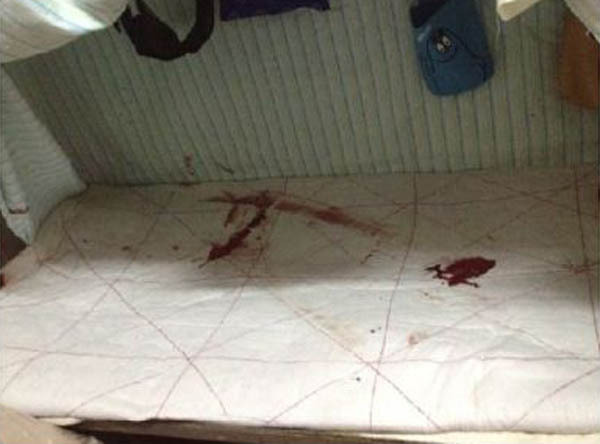 Bloodstains on the victim's bed. 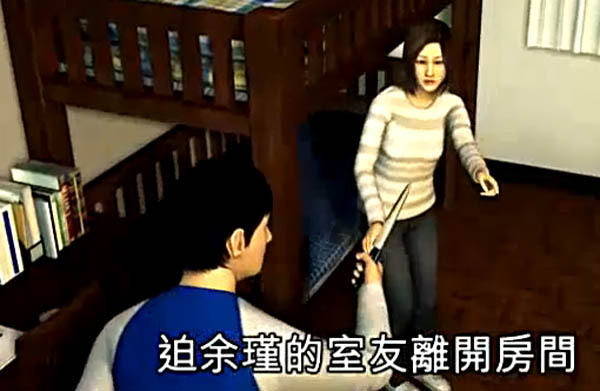 Ji Xingpeng guilty of voluntary manslaughter stabbed his wife to death with a fruit knife in April 2013 after suspecting she was cheating on him. 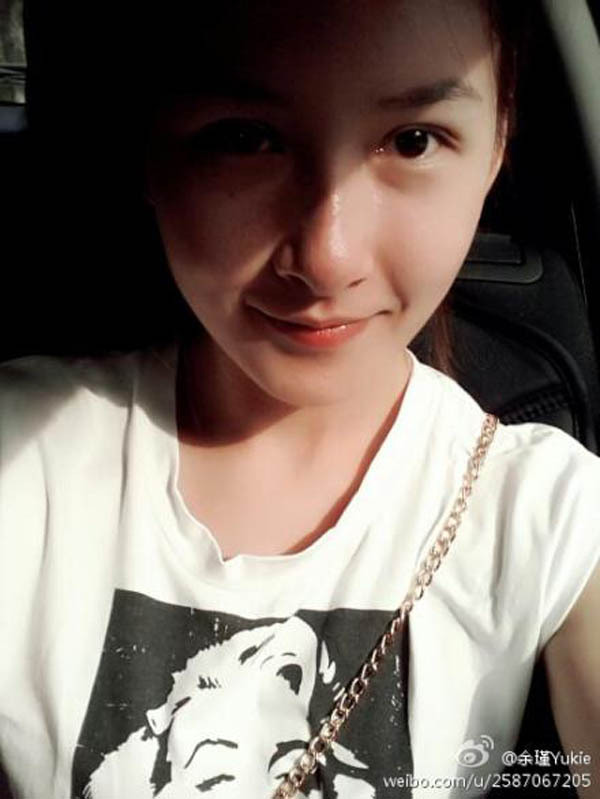 Ji was allegedly under the influence of alcohol when he stabbed his wife over 30 times. 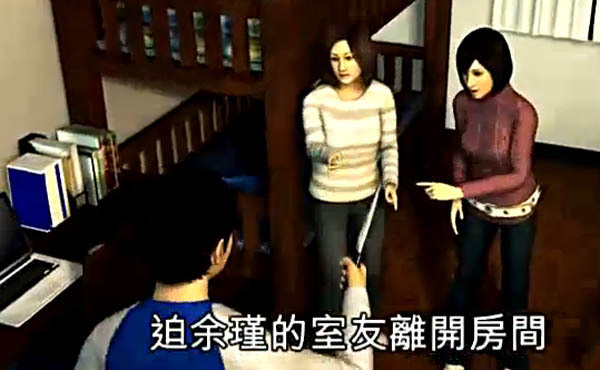 The death sentence came with sentenced to death with a two-year reprieve, which the family found unfair. 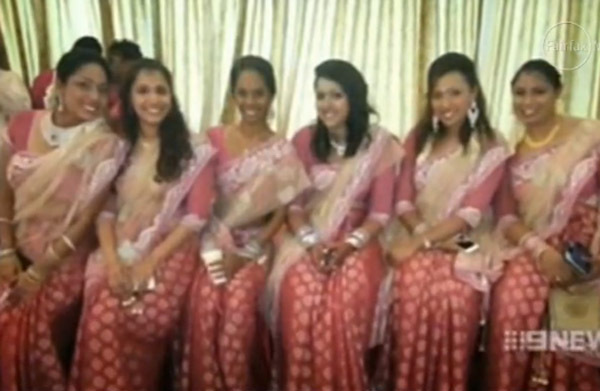 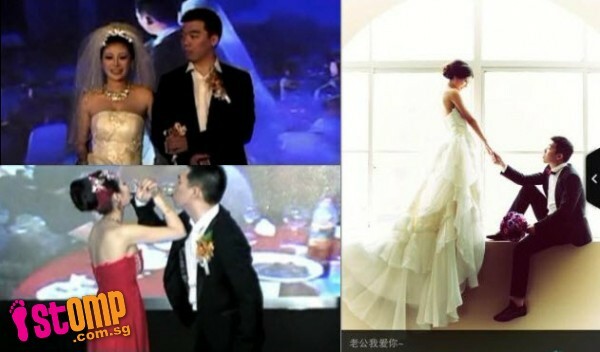 The couple had met as high school classmates and were married for two years. 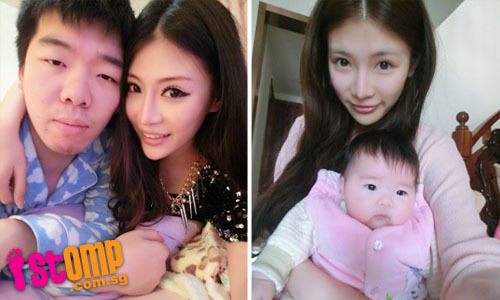 The couple had a 3-month-old daughter at the time of the wife's death. 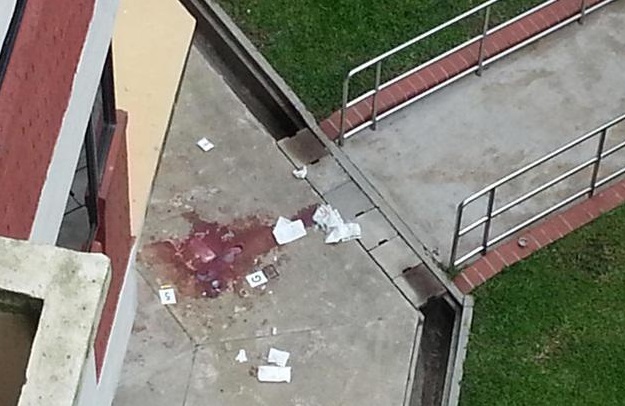 A female nursing student was stabbed near a block of flats in Jurong West on Friday morning. 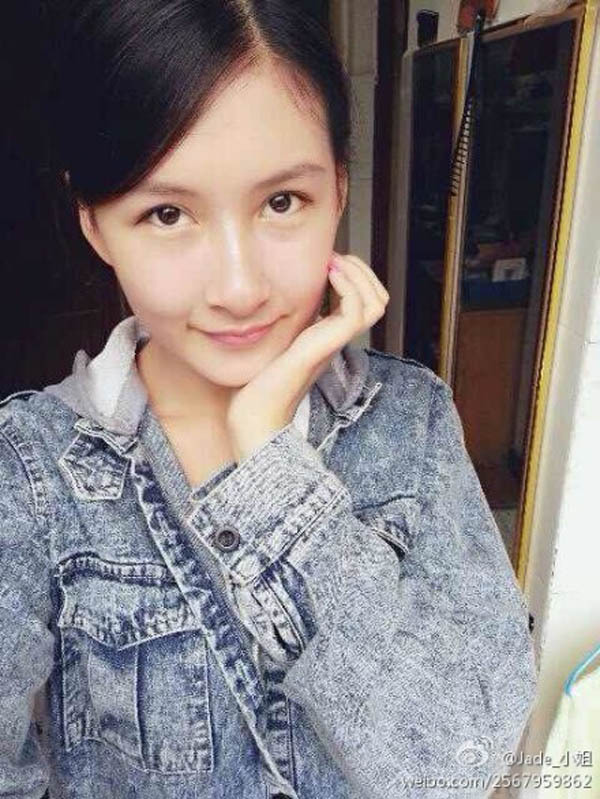 The student in her 20s was conveyed to the National University Hospital with injuries to her arms, neck and abdomen, Lianhe Wanbao reported via its webpage. 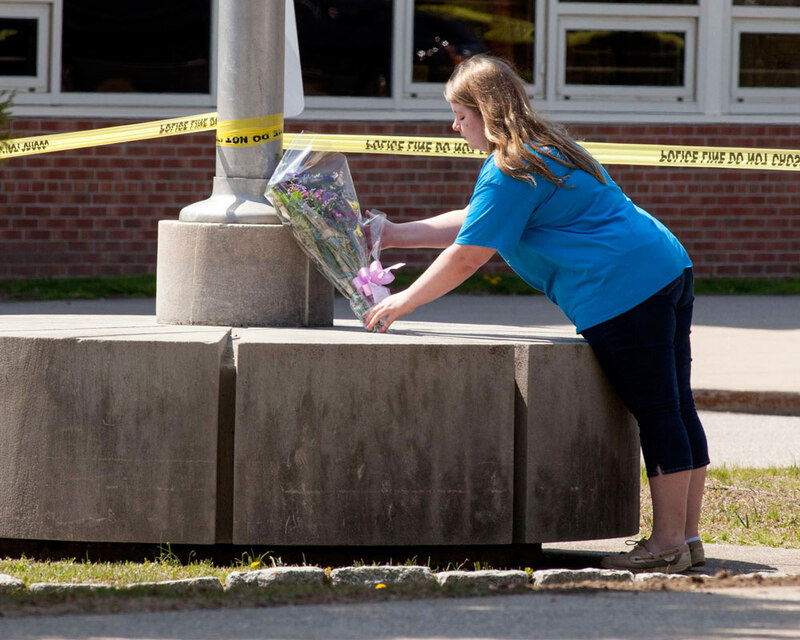 Police confirmed that they received a call for assistance at 8:40am on Friday. 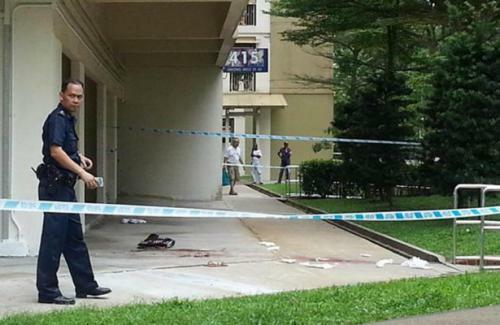 The woman was found injured upon arrival at Block 415 Jurong West Street 42. 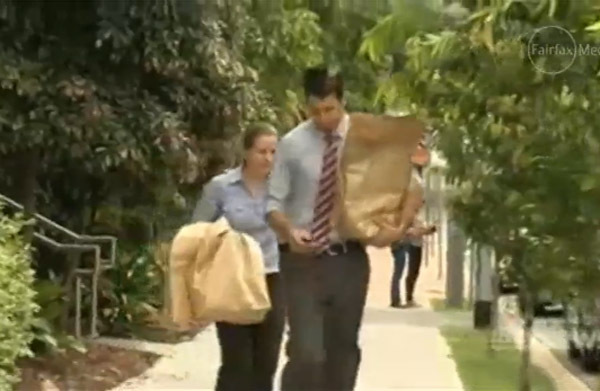 A man in his 30s has been arrested in relation to the case. 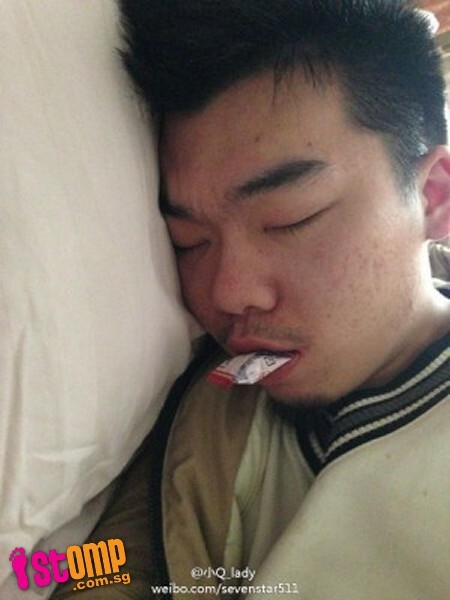 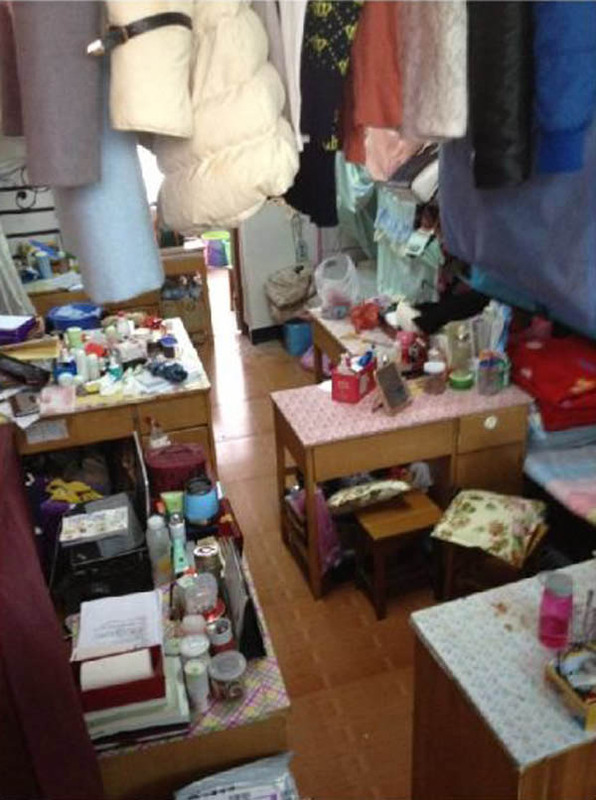 In a report, Lianhe Wanbao identified the victim as a student. 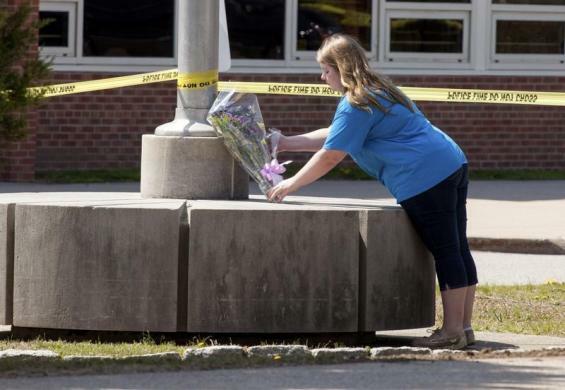 According to the paper, she was on her way to school with her father when they encountered the assailant. 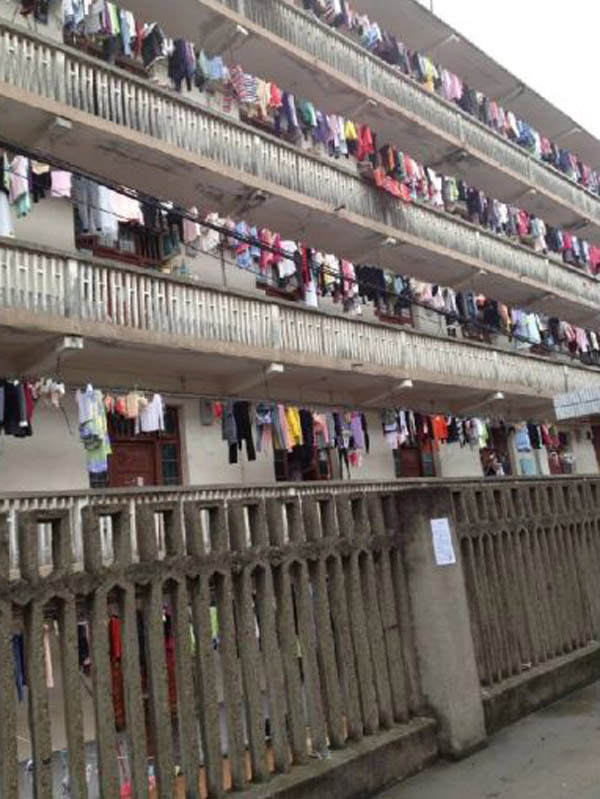 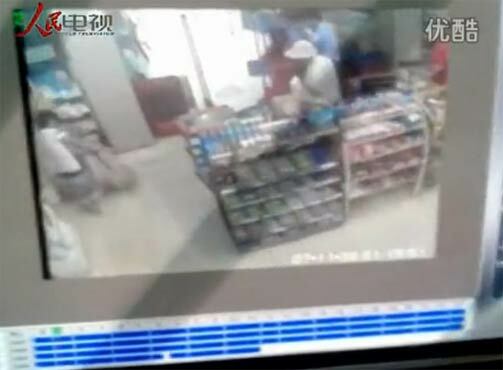 An eye-witness told the Chinese daily that the unknown man stabbed her repeatedly. She was crying as blood spilled from her neck, he said. 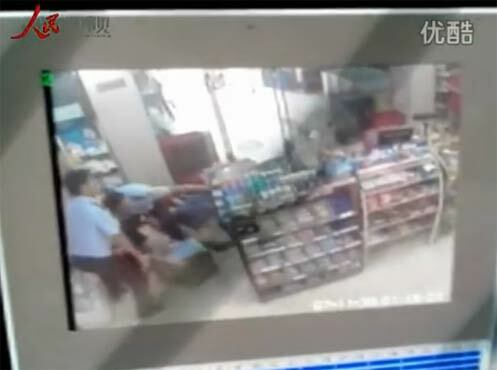 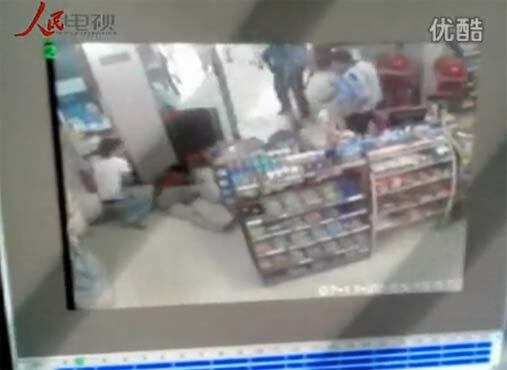 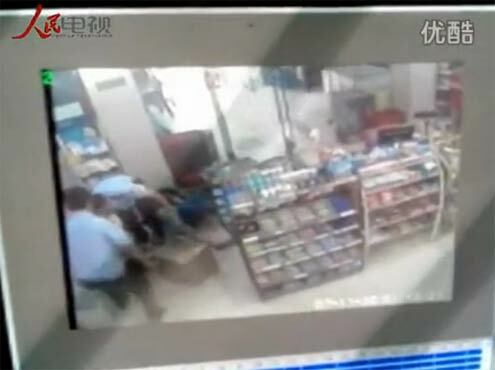 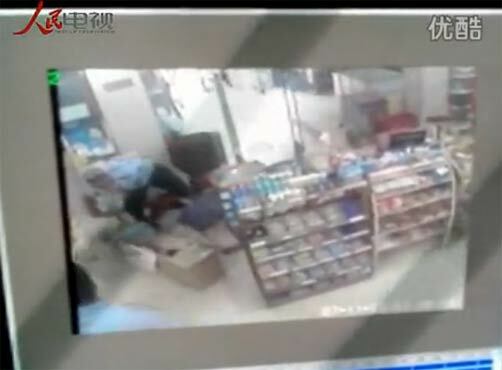 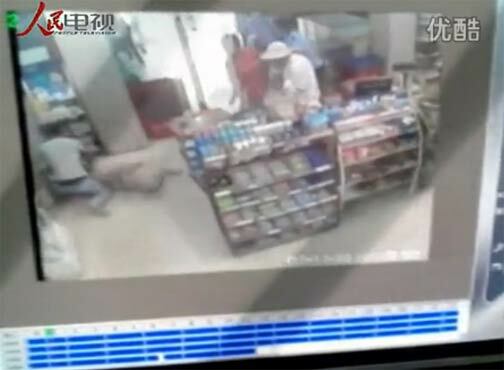 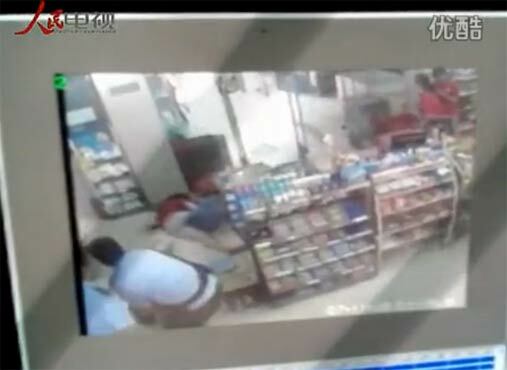 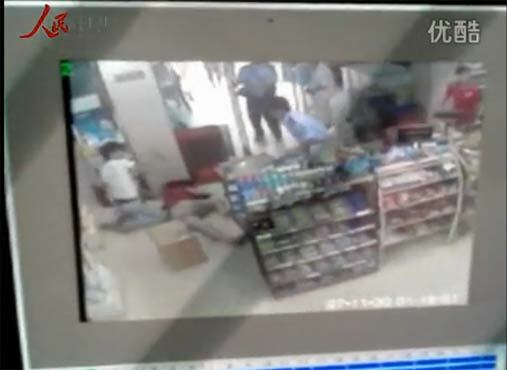 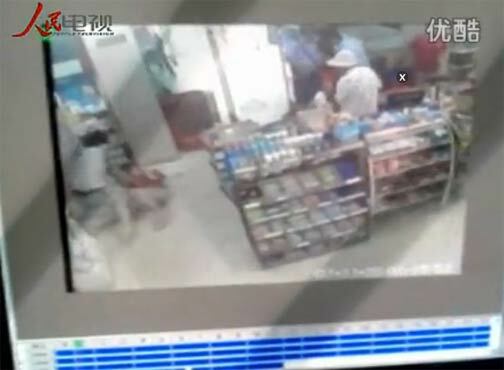 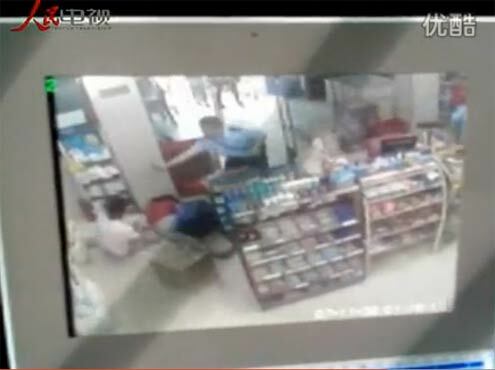 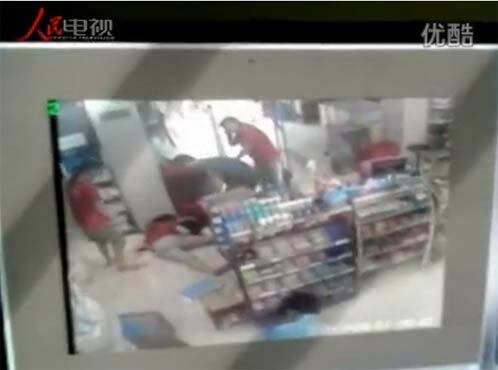 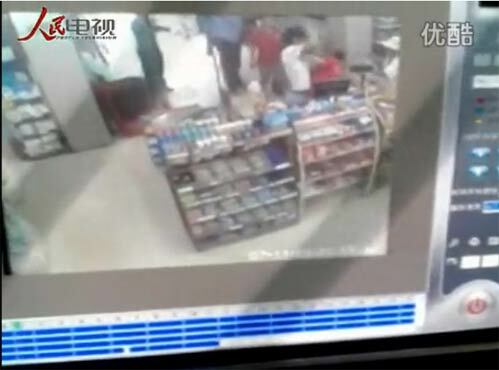 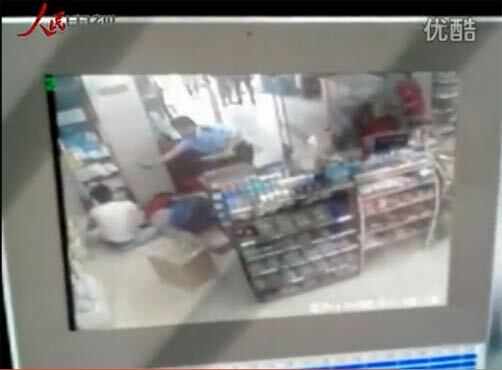 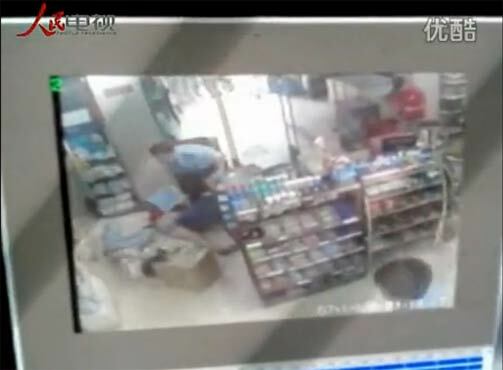 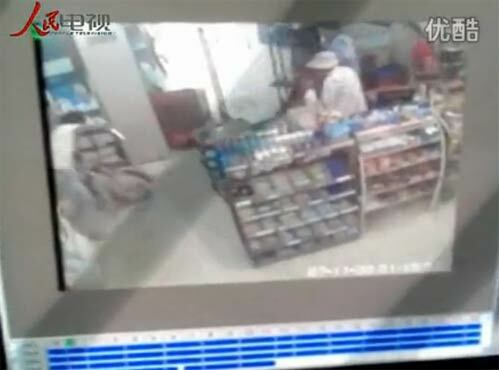 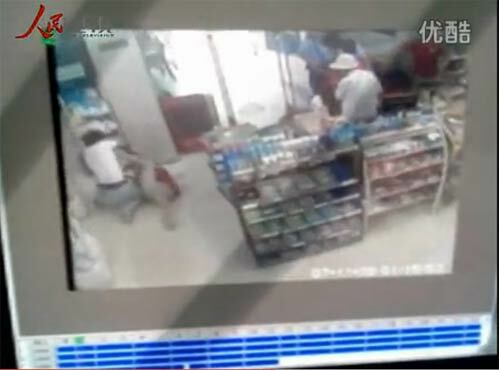 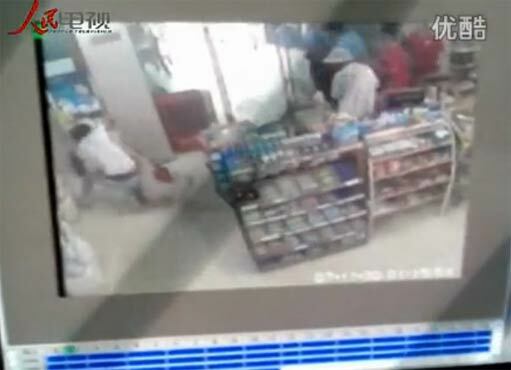 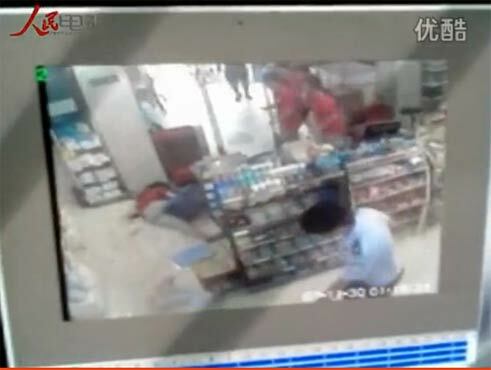 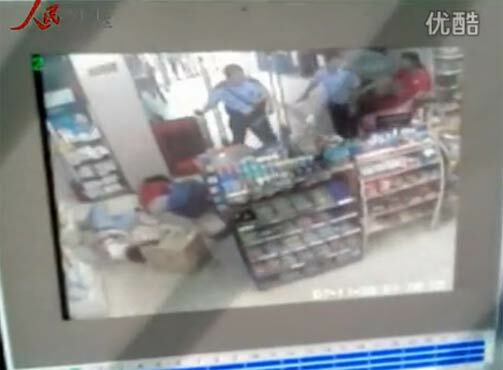 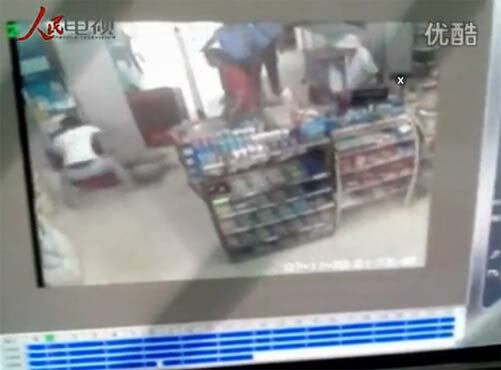 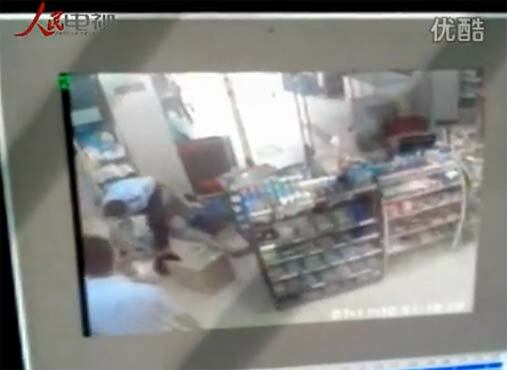 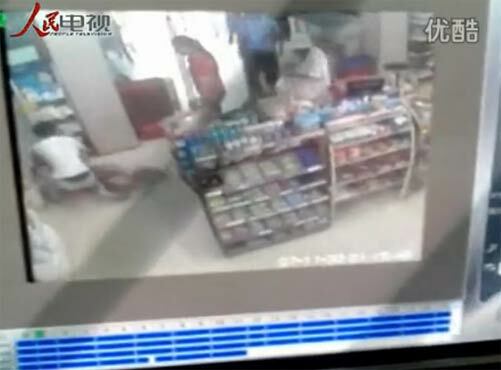 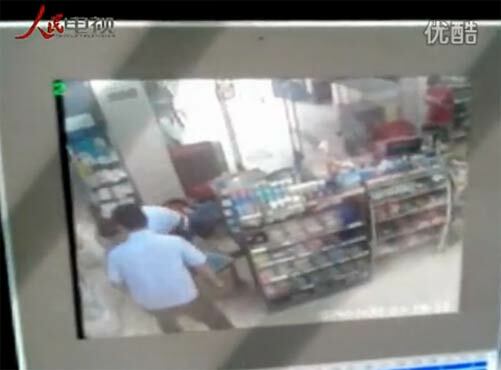 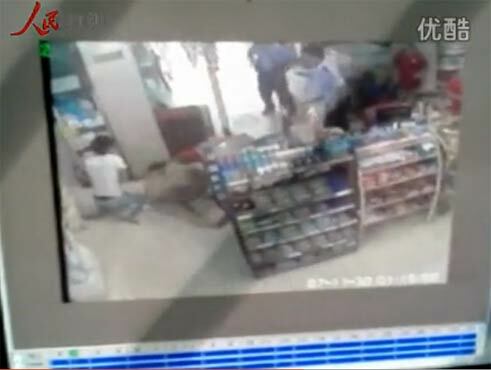 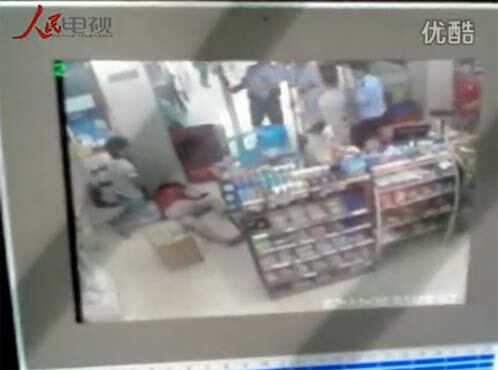 A 17-year-old female supermarket cashier was stabbed repeatedly by a man while two Chinese police officers looked on. 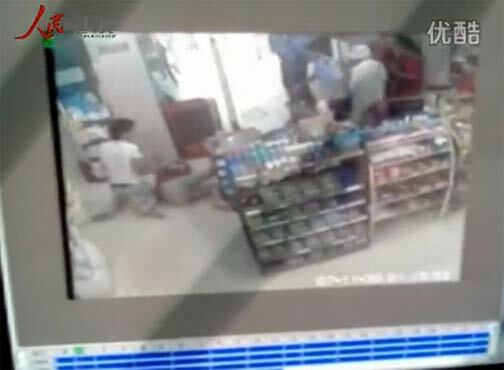 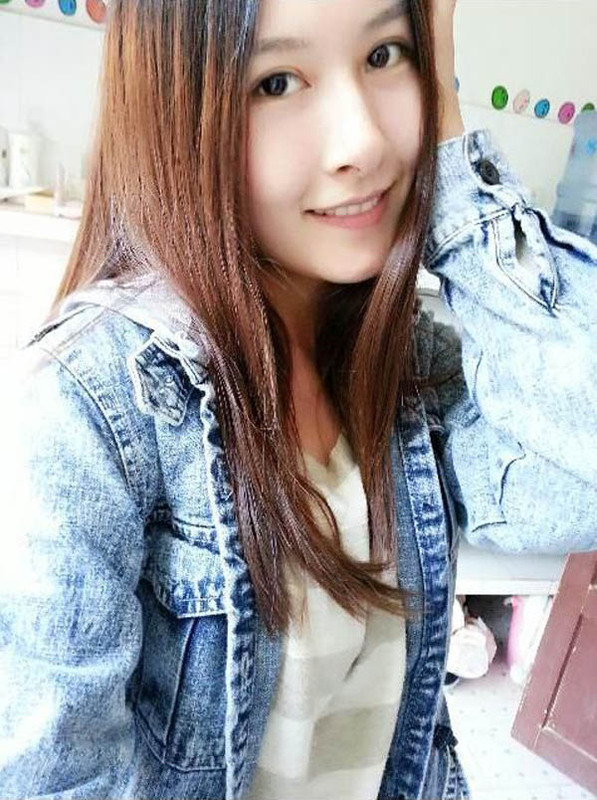 ChinaSmack.com reported that the murder happened on Aug 18, 2013 in Anhui Province Bengbu City Yuhui Macheng Town, China. 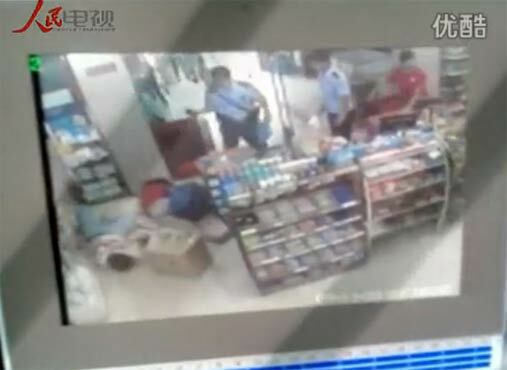 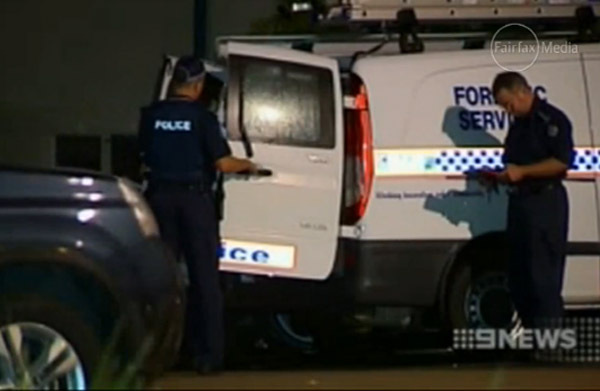 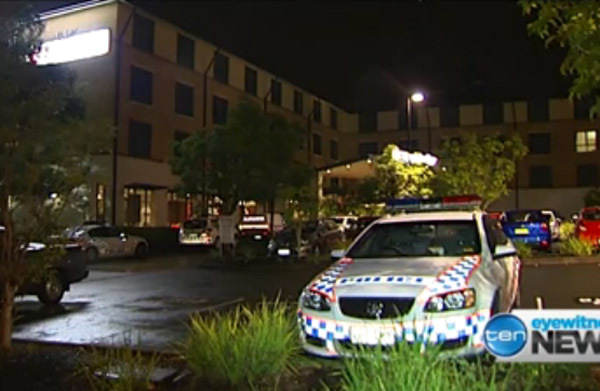 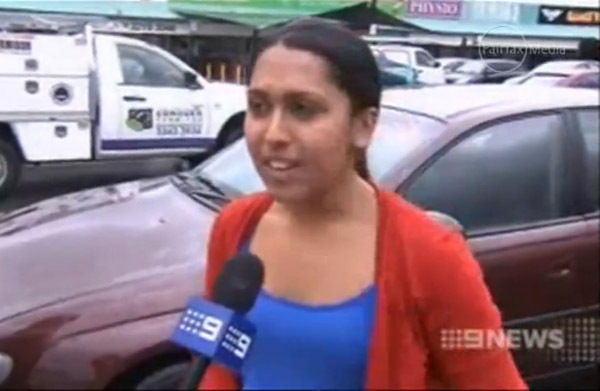 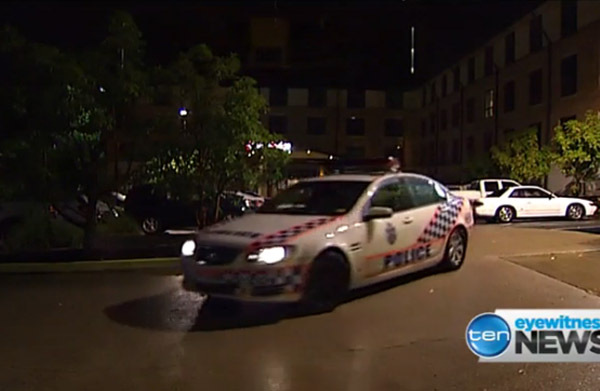 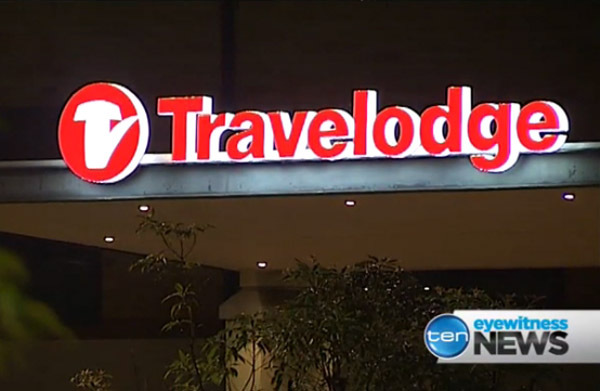 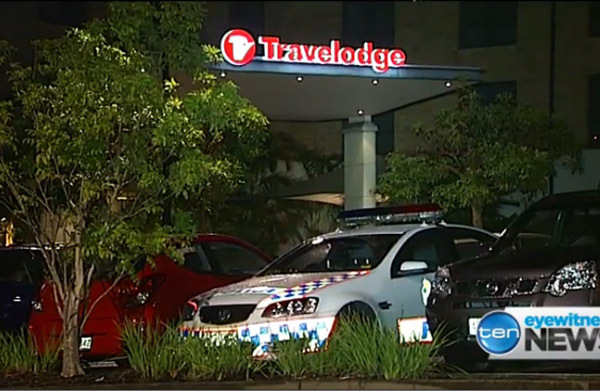 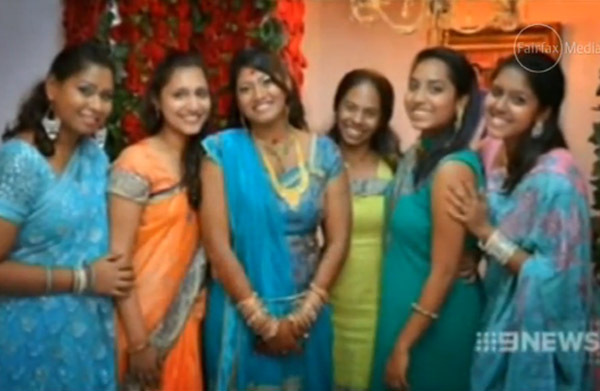 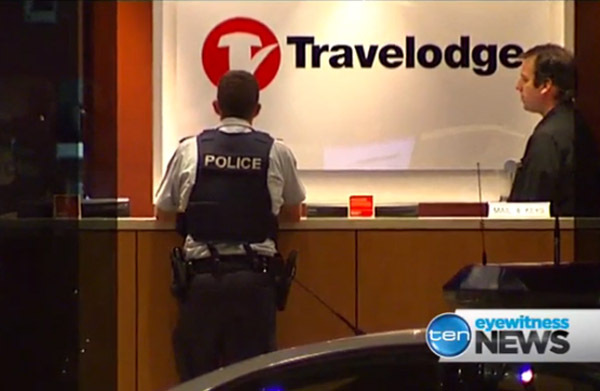 CCTV footage showed the girl was grabbed, choked and stabbed more than 10 times repeatedly. 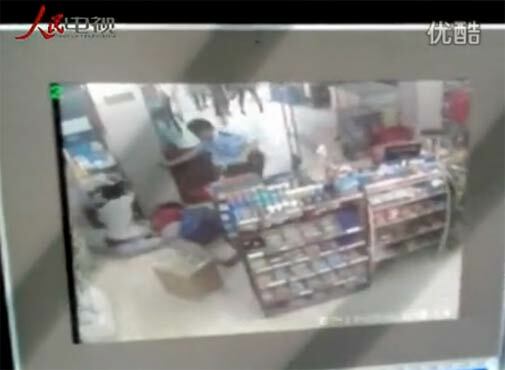 While two police officers stood by and watched, seemingly not knowing what to do to stop the attack. 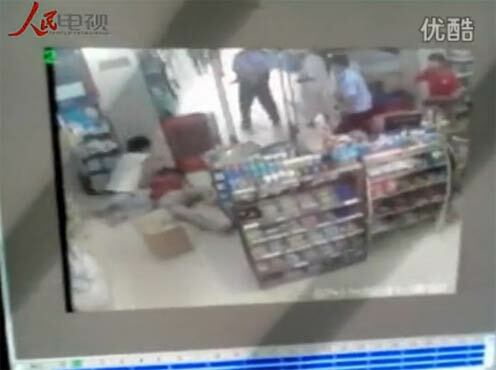 According to the police report after the incident, the girl was identified as Xiao Hu and her attacker, Shen X, who was also her alleged boyfriend. 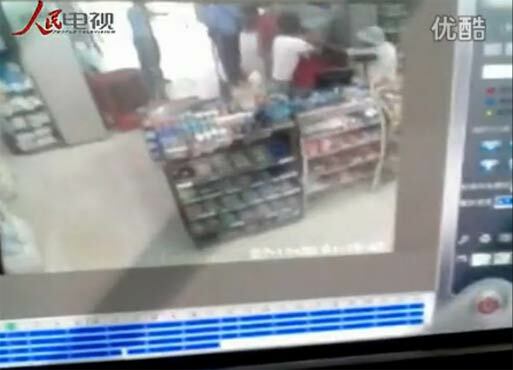 A witness named as Ms Hu said in reports that an employee of the supermarket had told her a man had been acting suspicous hanging around the supermarket for a long time. 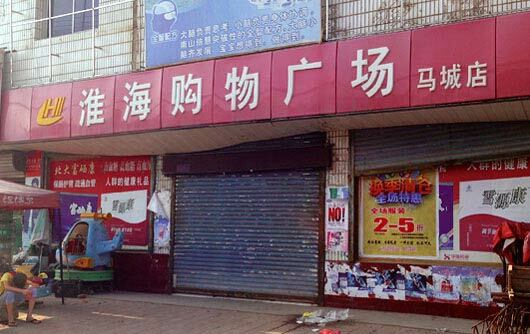 He had purchased a kitchen knife and fruit knife from the supermarket. 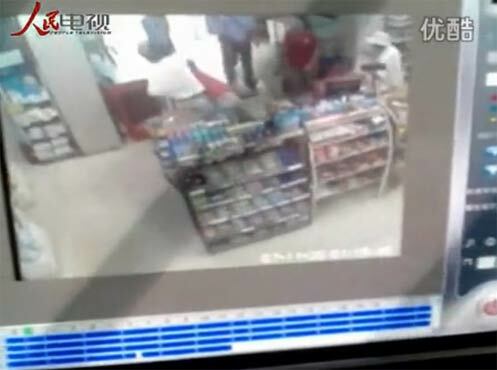 Ms Hu said she though he may rob the store and alerted the police. 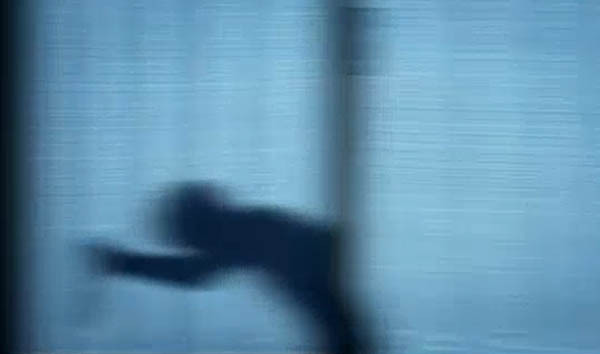 Police arrived but the suspicious man had left. 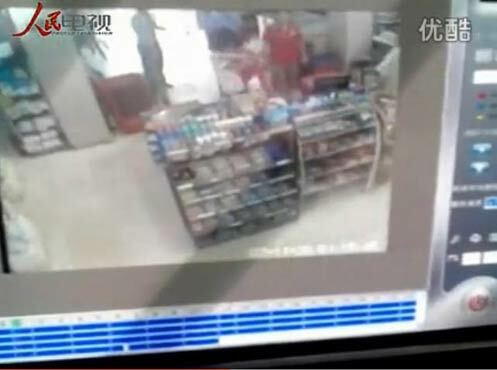 He turned up at the supermarket an hour later and the police were called again. 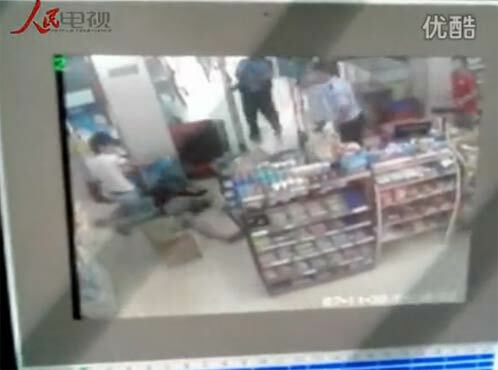 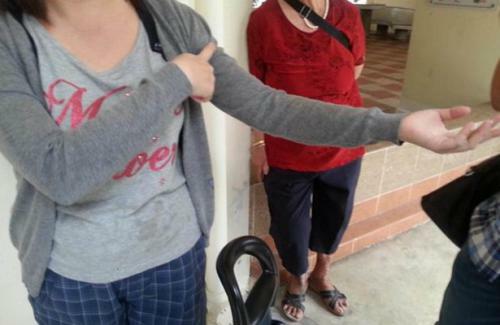 This time, it was reported, that as soon as the policemen arrived, the man grabbed Xiao Hu by her neck and attacked her. 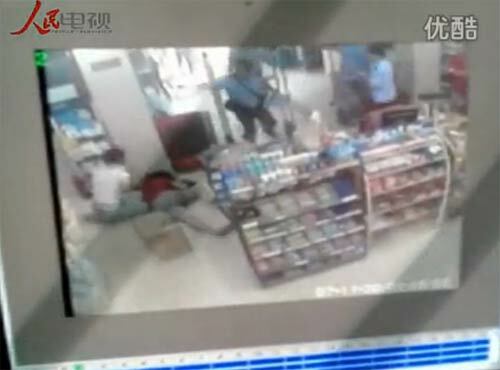 In the commotion, Ms Hu screamed at the policemen to save her but they only shouted at the killer, it was reported. 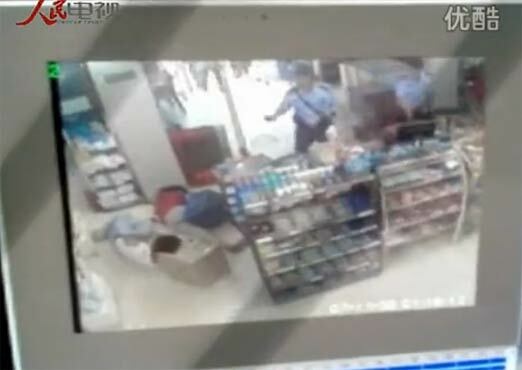 It was reported that it was only when the man stabbed himself and fell to ground did the policemen step forward to arrest him. 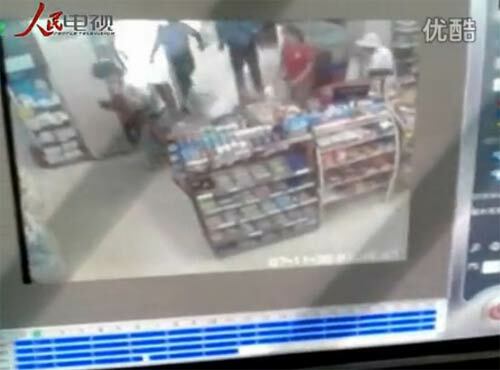 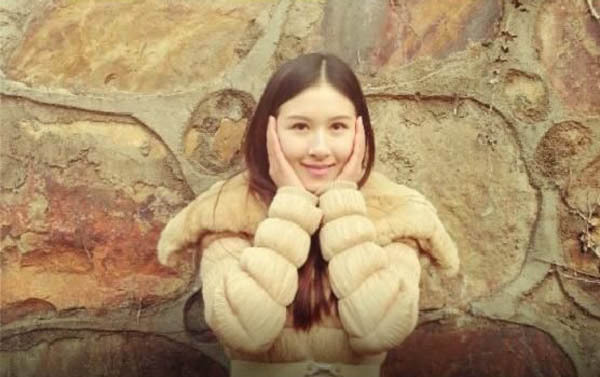 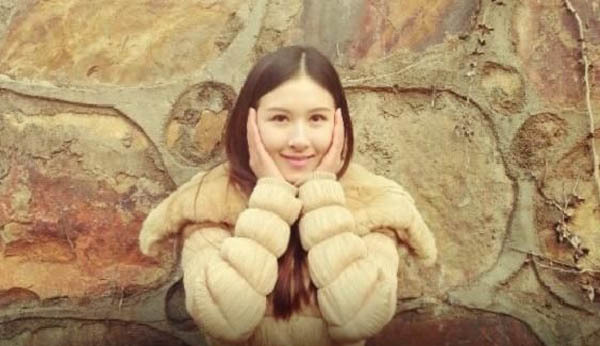 Online reactions to the video as well as the family members of the 17-year-old have been strong and angry, according to the ChinaSmack report. 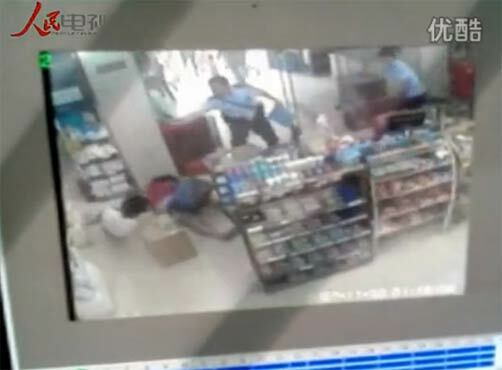 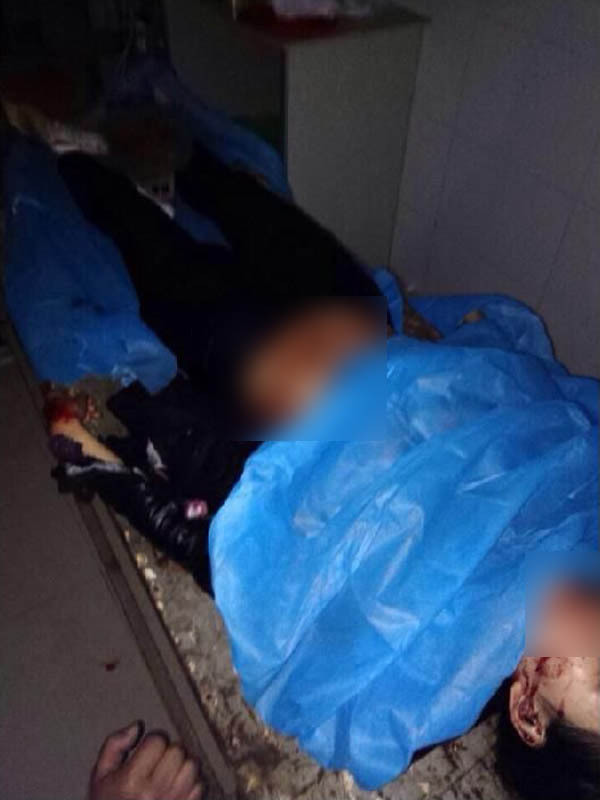 The director of the Bengbu City Public Security Bureau had said that the policemen were slow in their handling of the situation but there was no cowardly behaviour on their part. 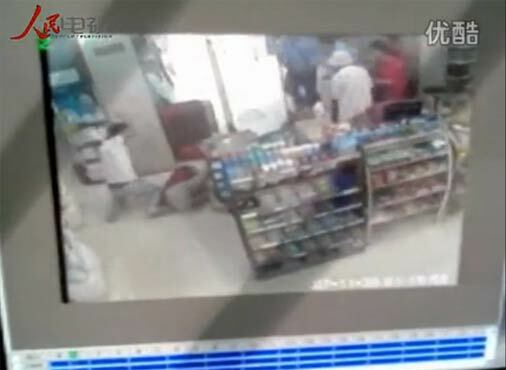 The latest report on Aug 24 said that the policemen did no wrong in their failure to act and they will face no punishment. 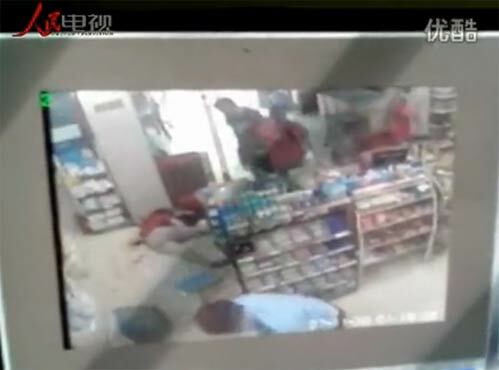 The supermarket where the murder happened.